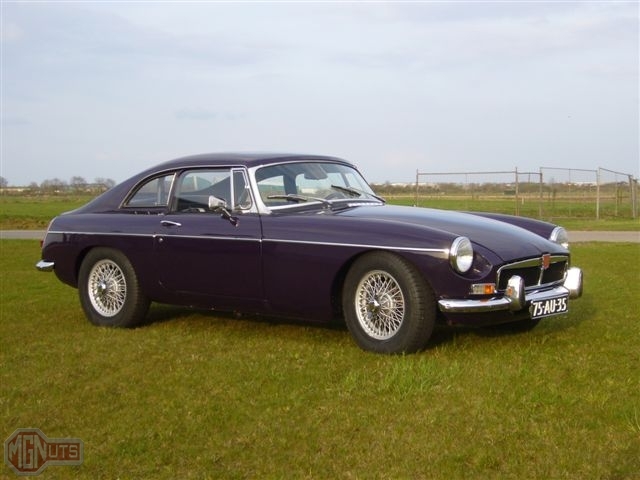 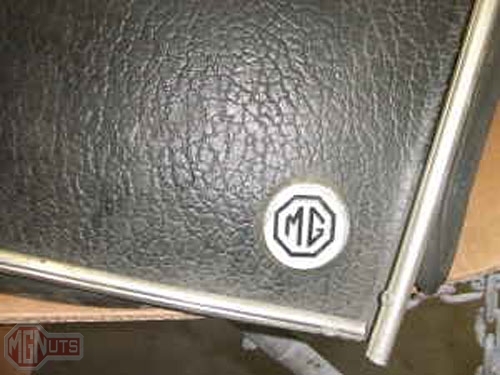 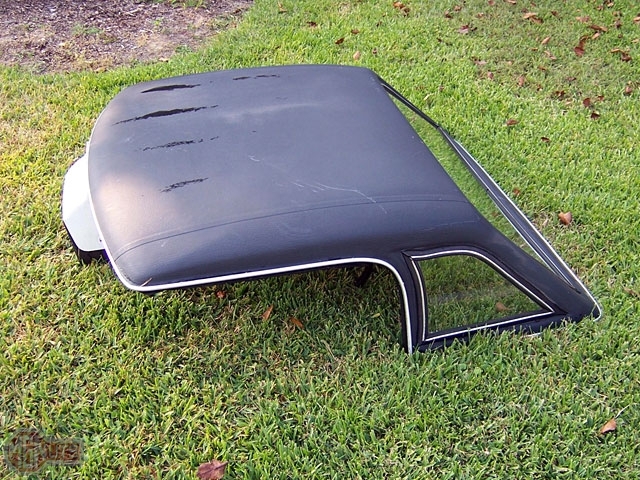 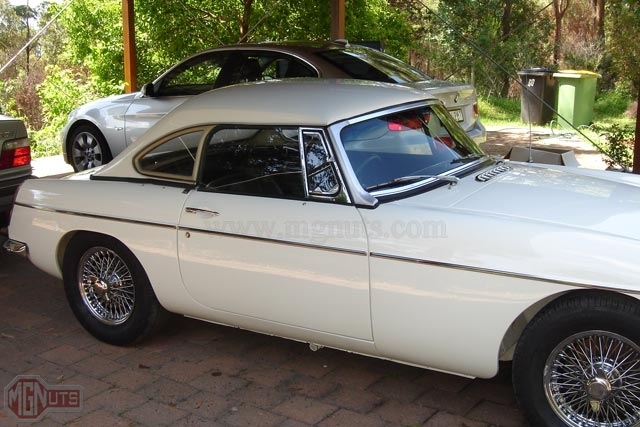 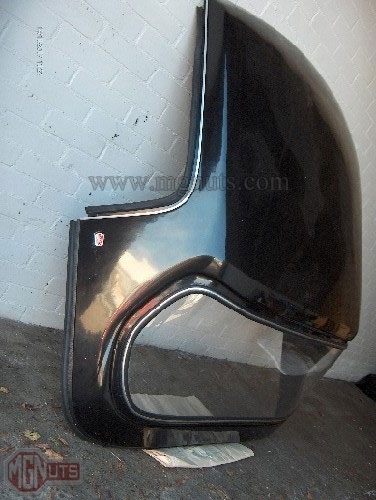 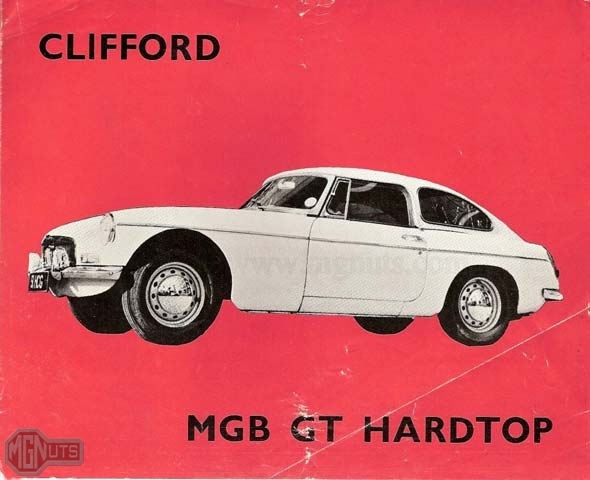 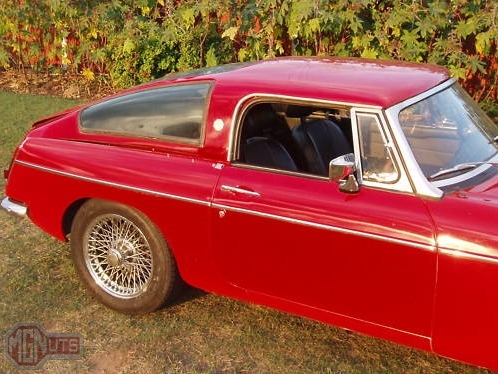 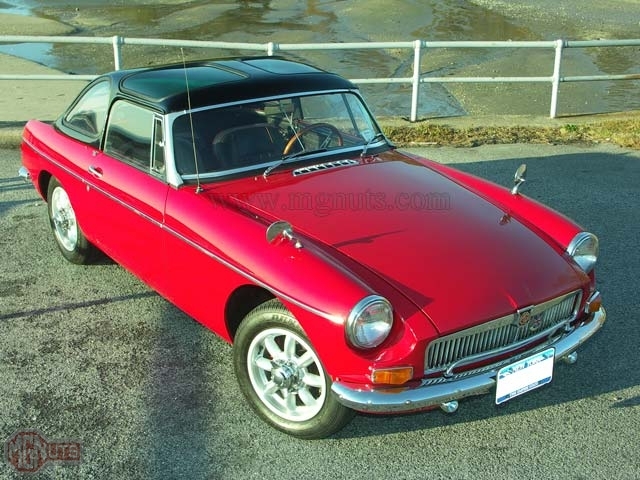 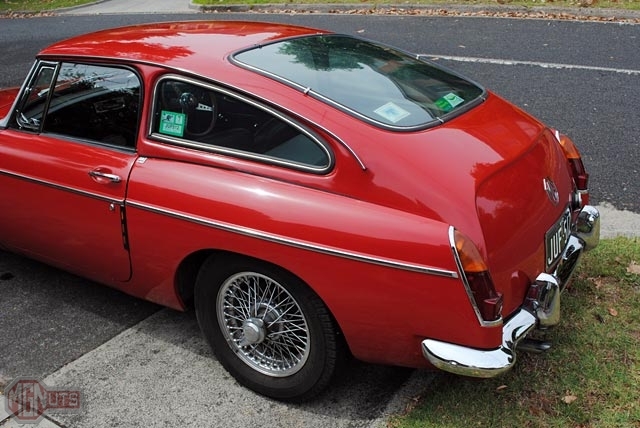 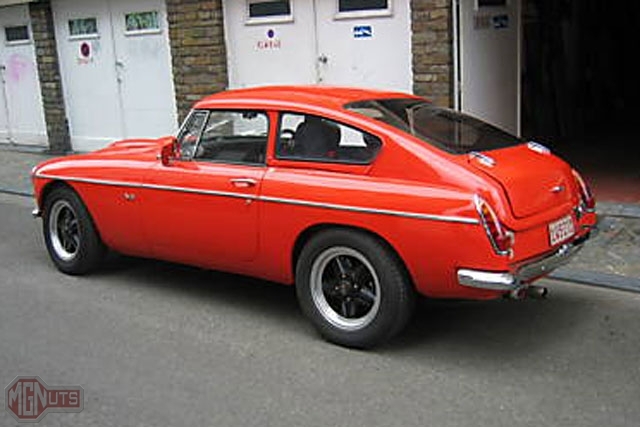 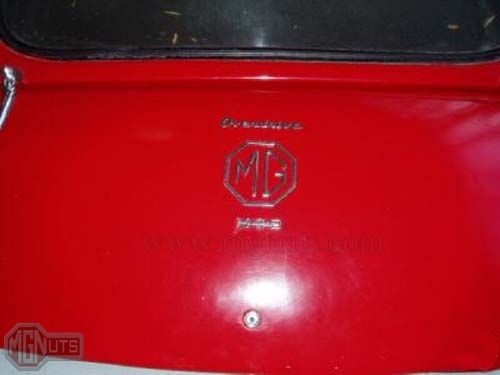 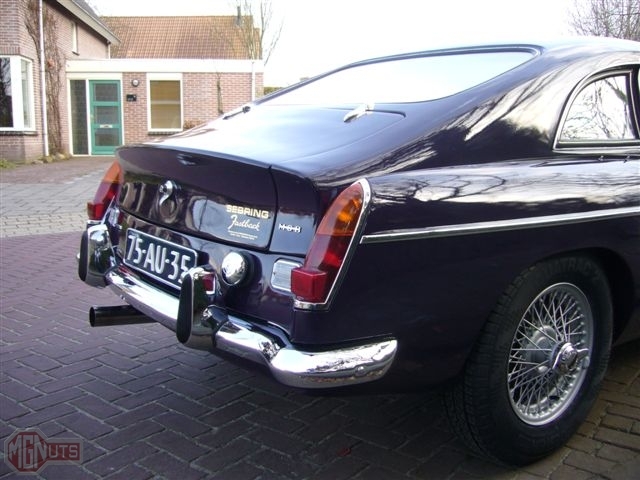 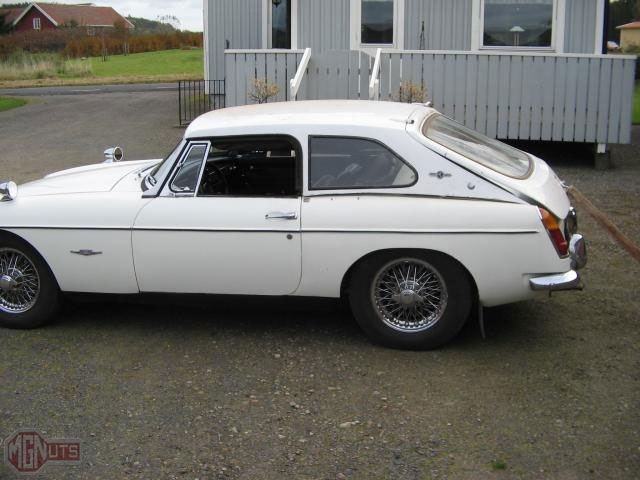 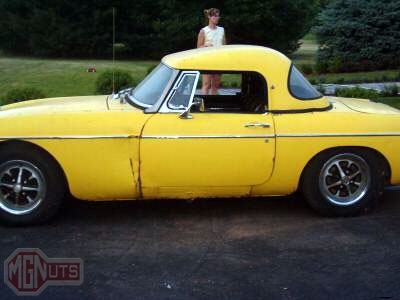 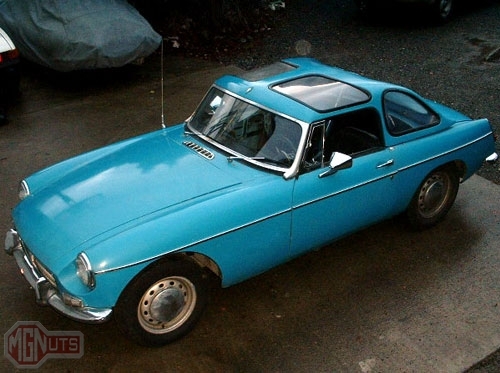 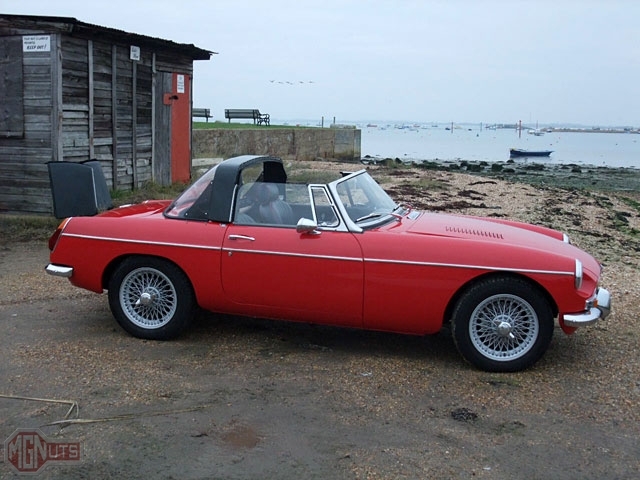 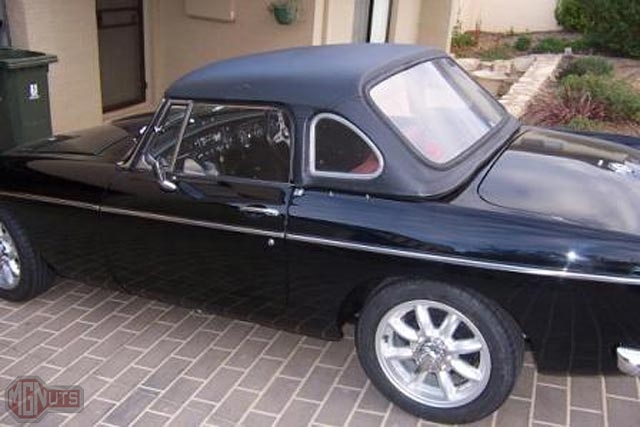 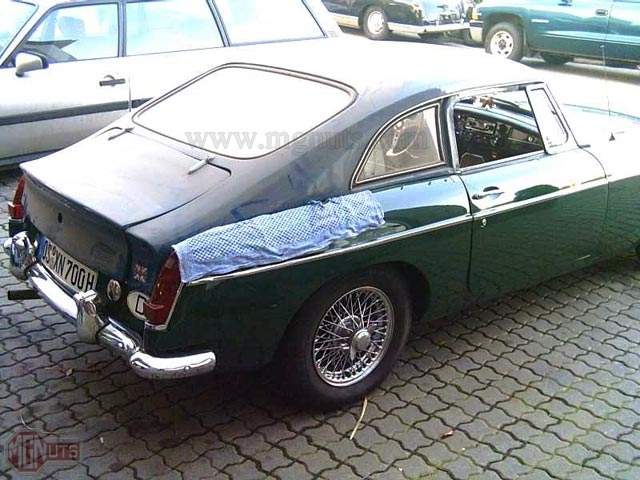 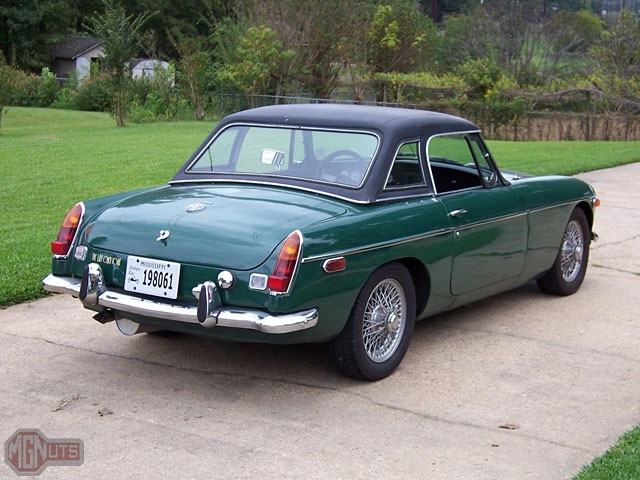 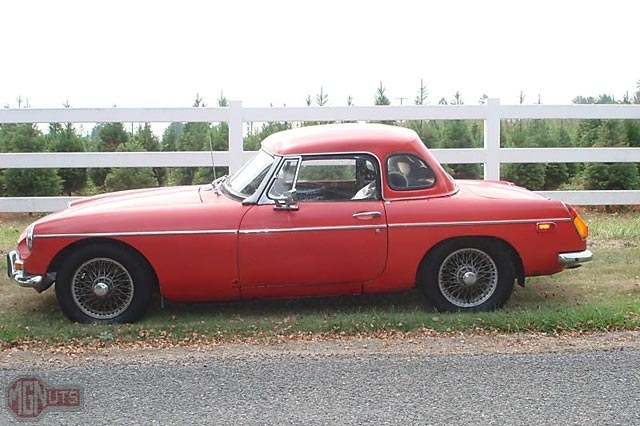 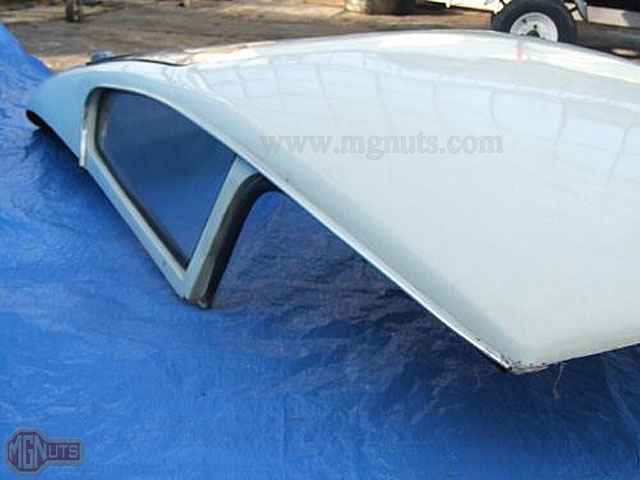 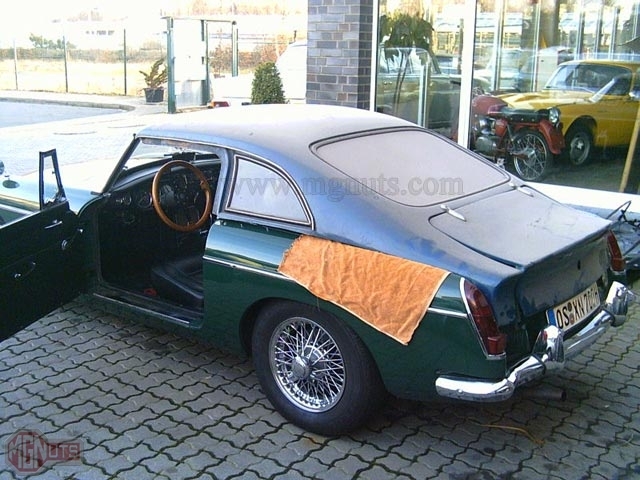 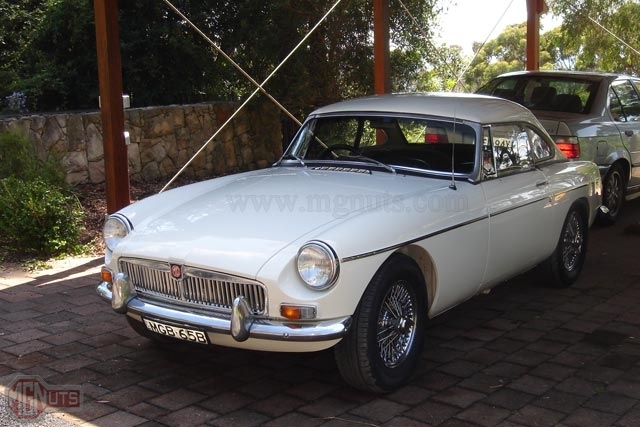 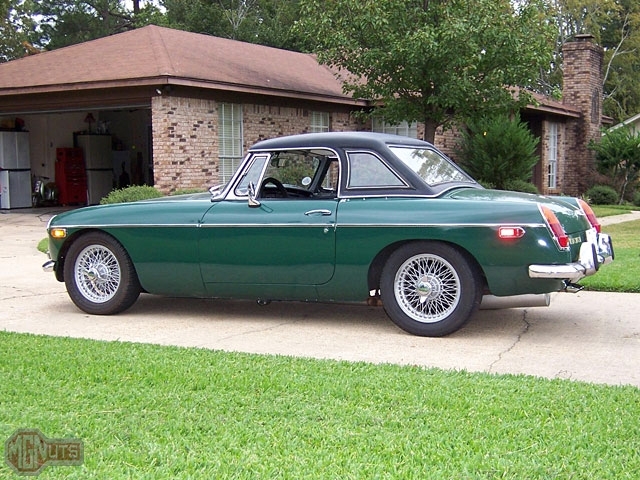 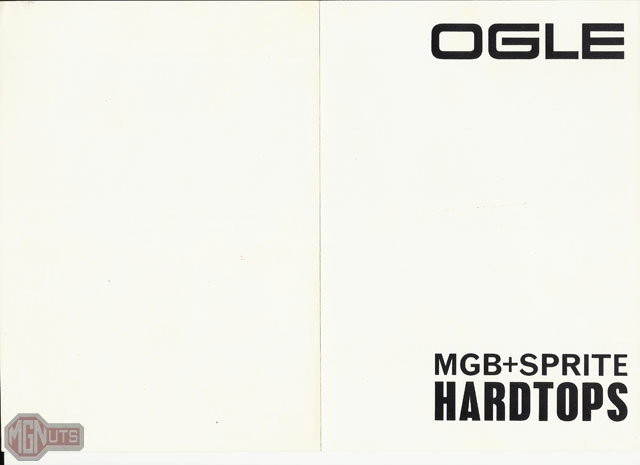 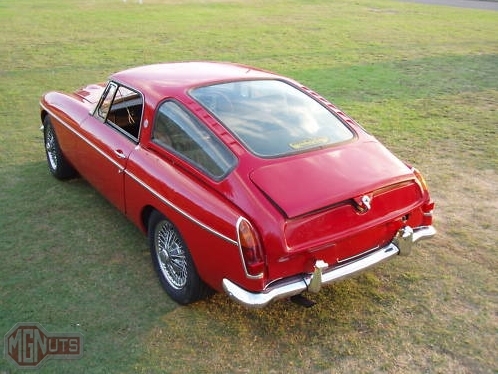 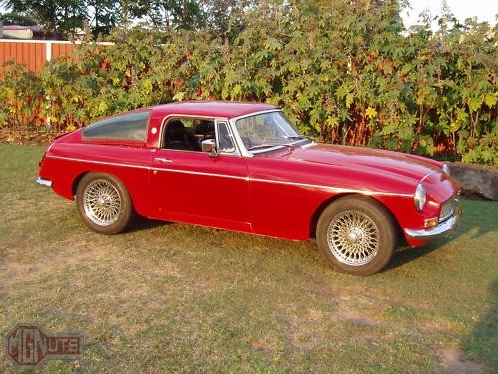 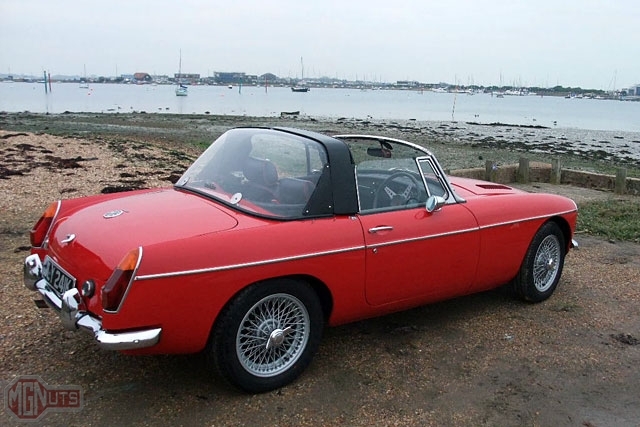 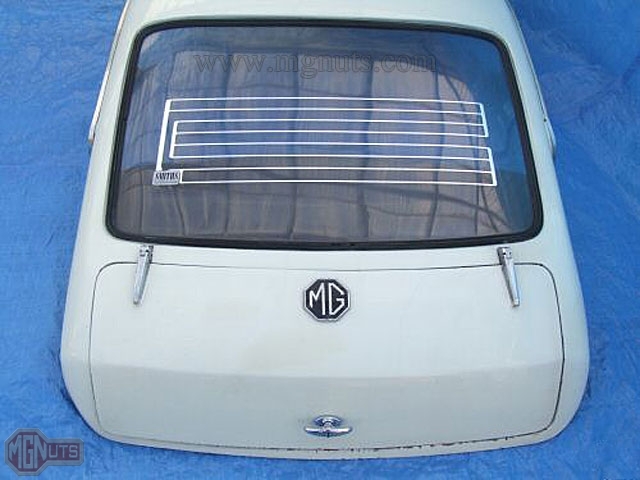 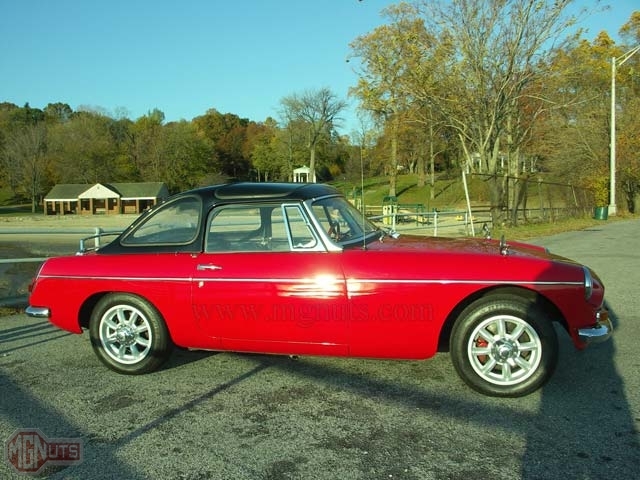 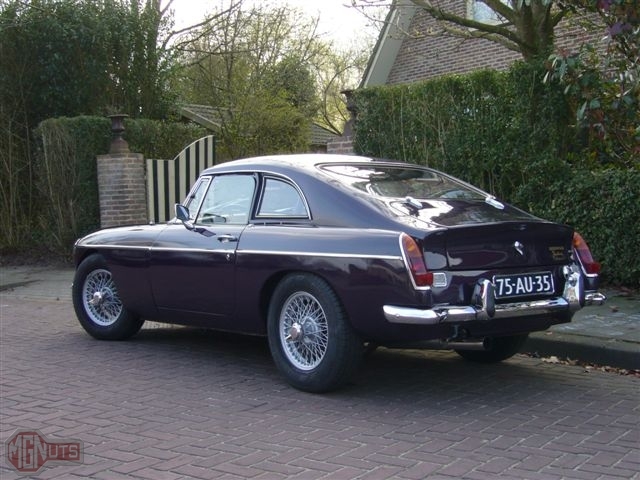 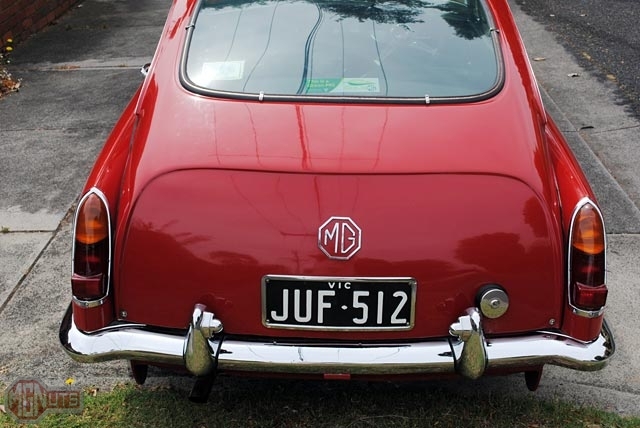 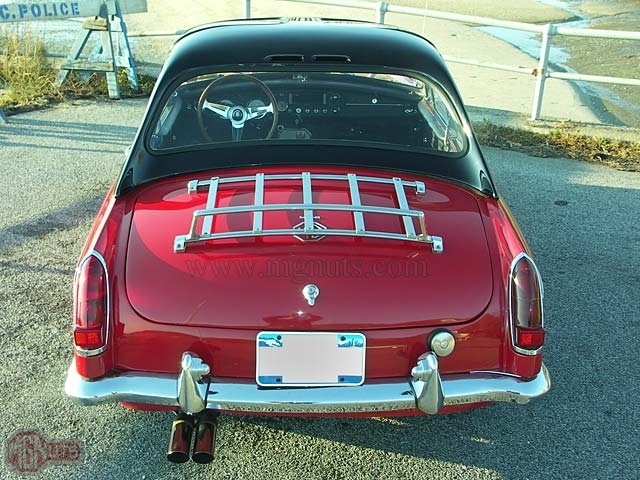 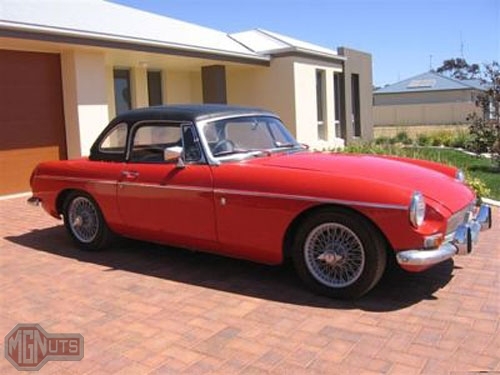 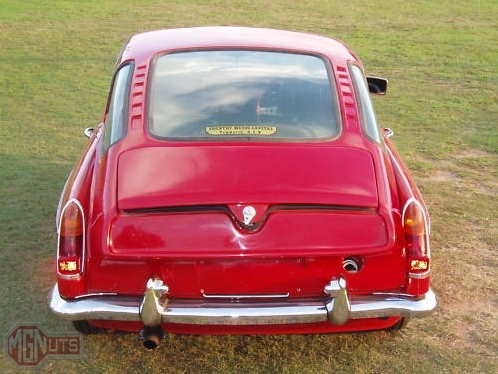 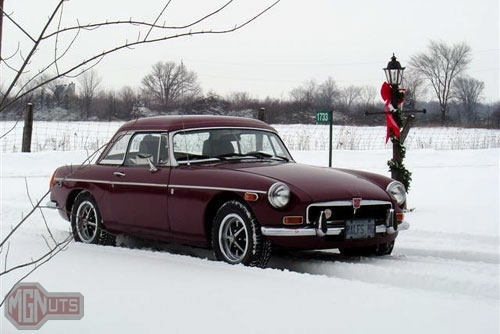 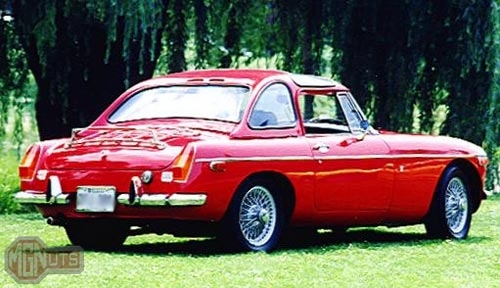 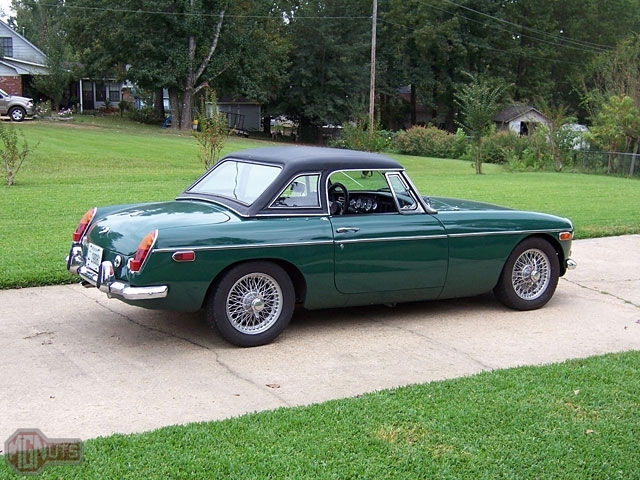 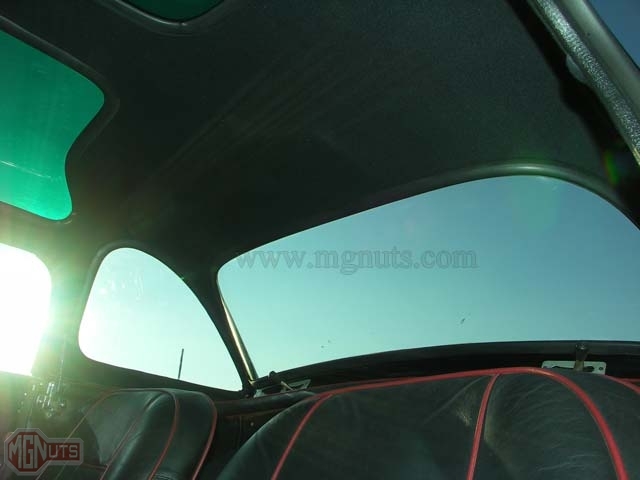 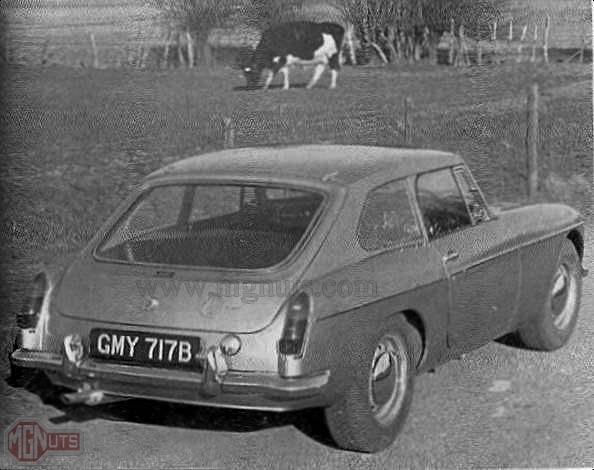 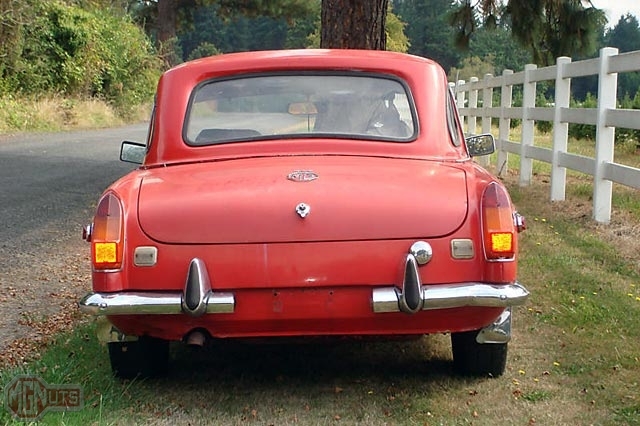 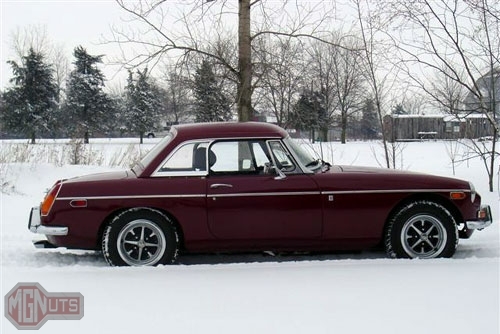 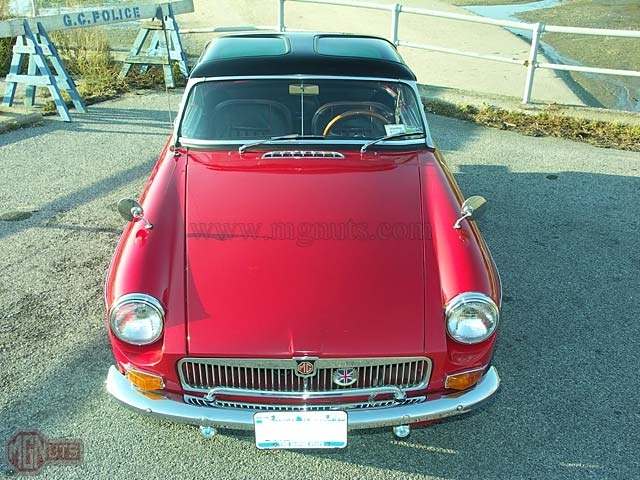 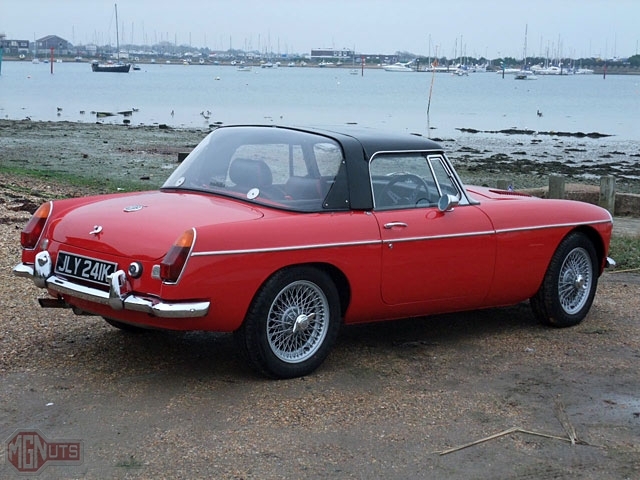 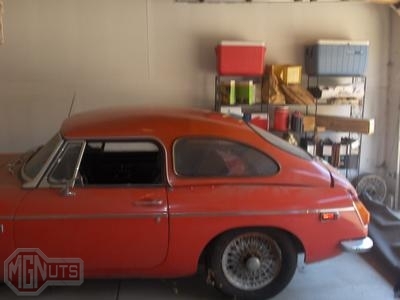 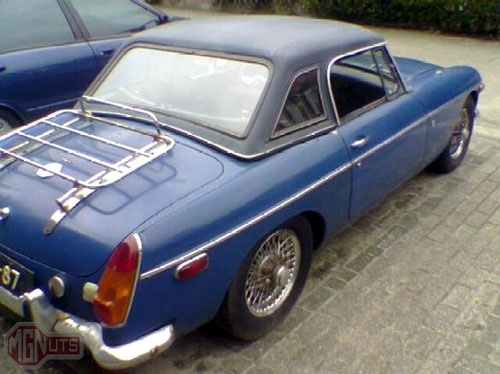 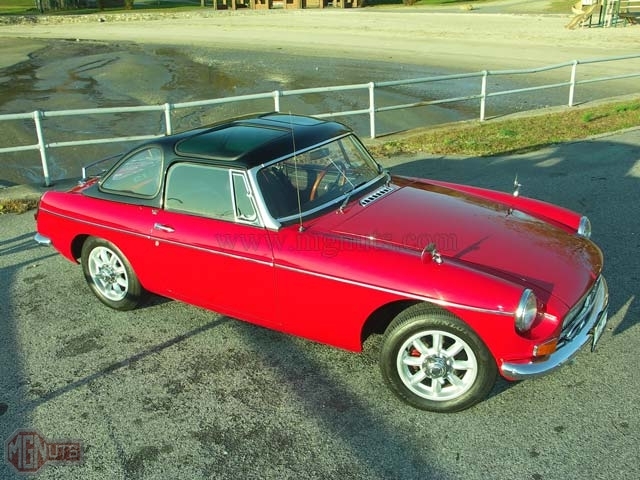 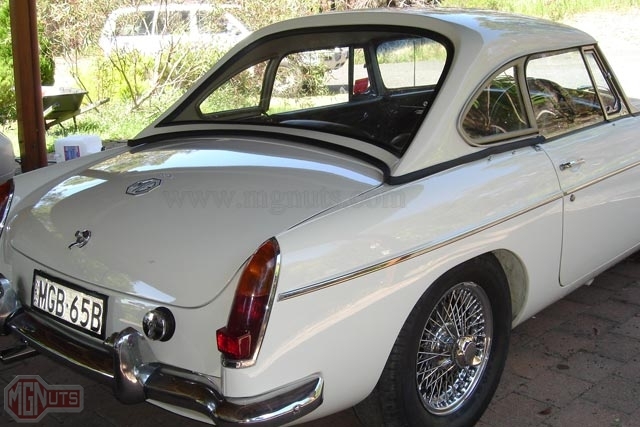 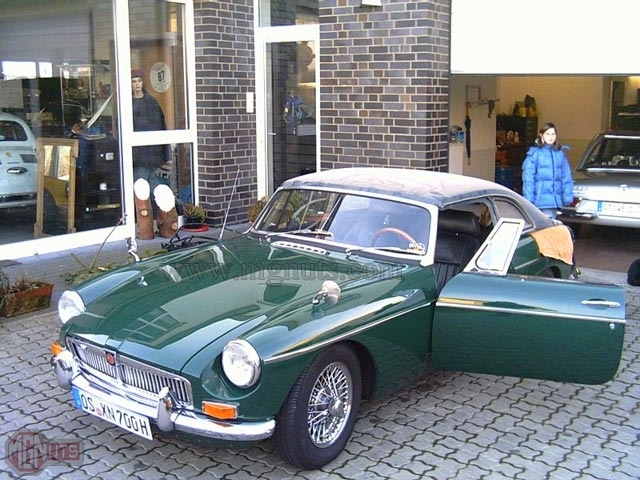 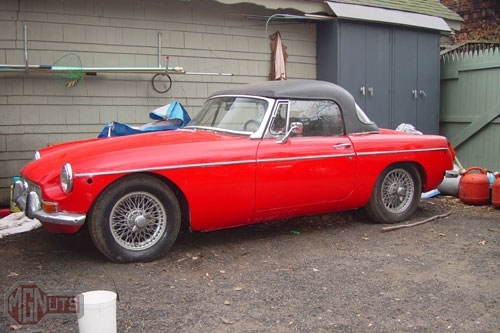 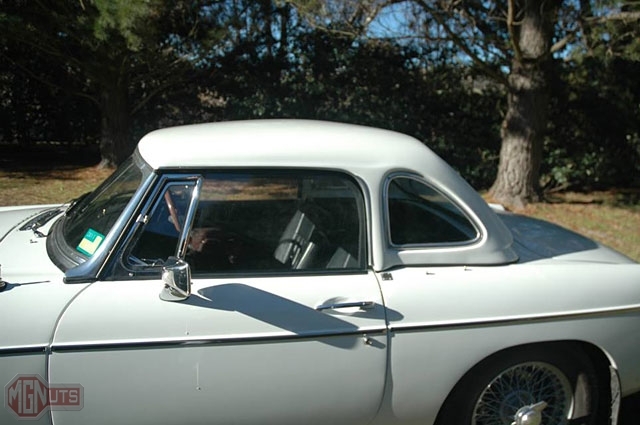 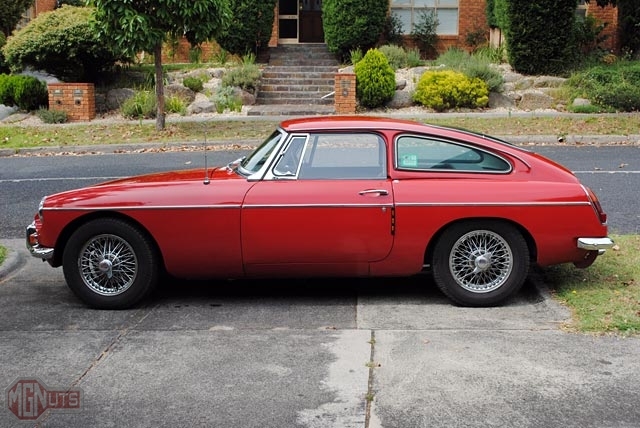 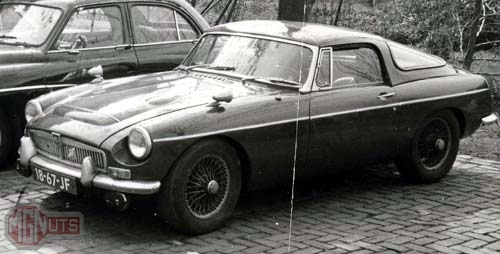 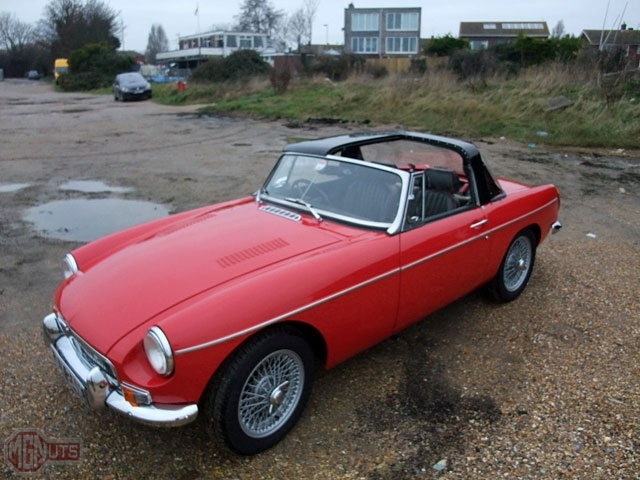 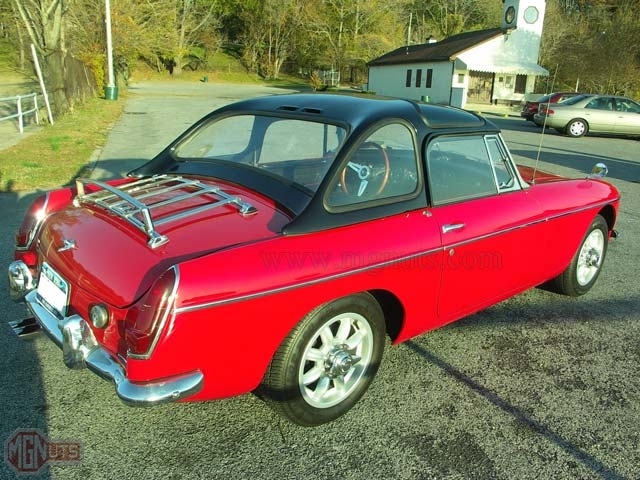 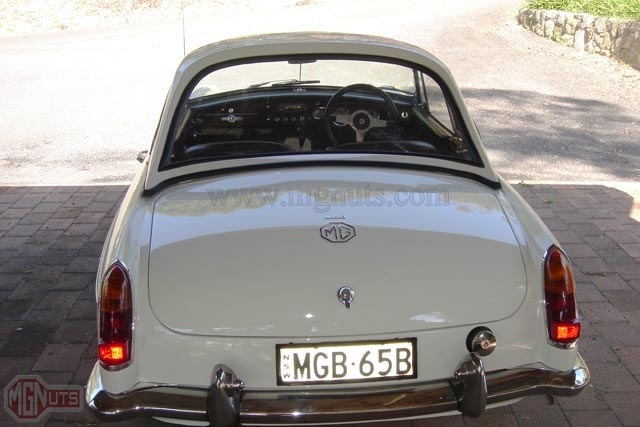 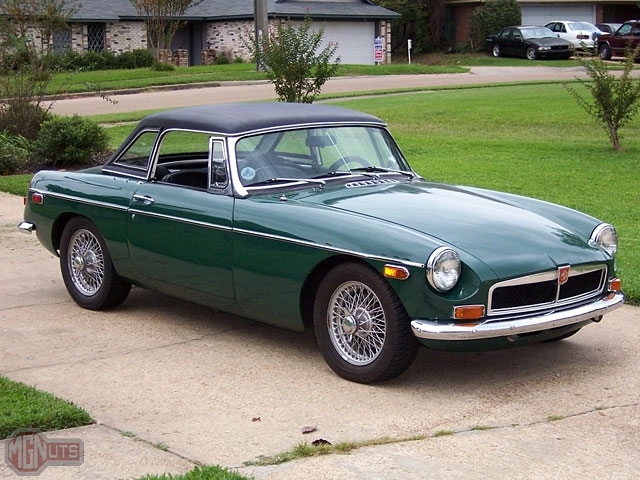 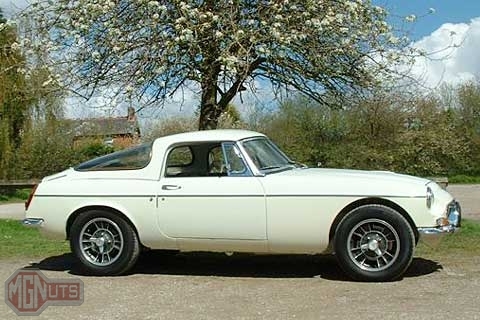 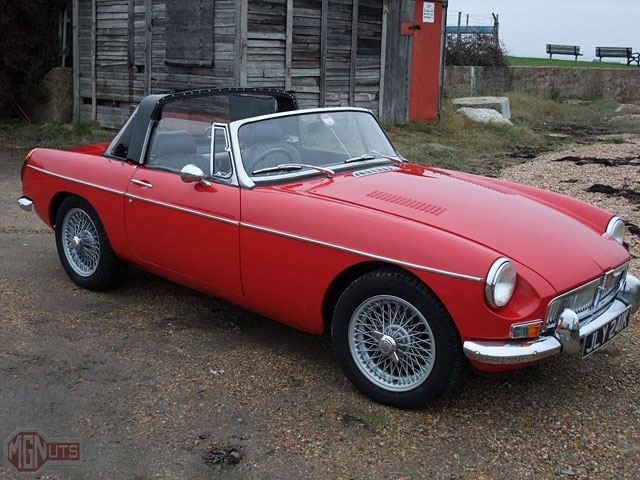 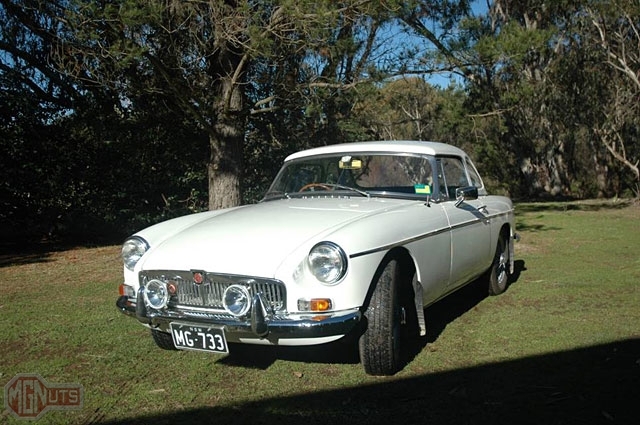 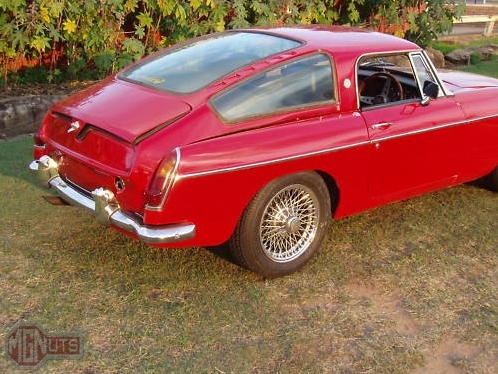 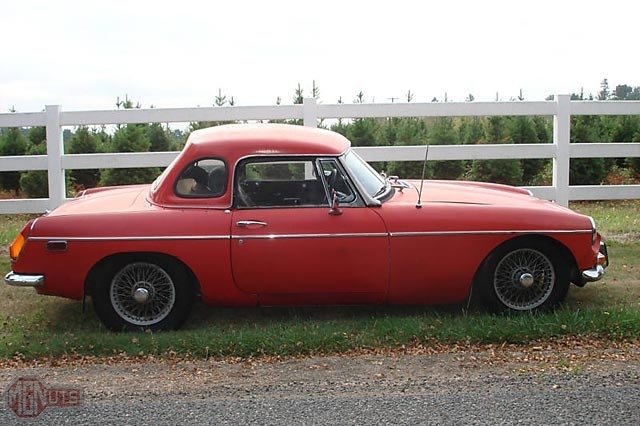 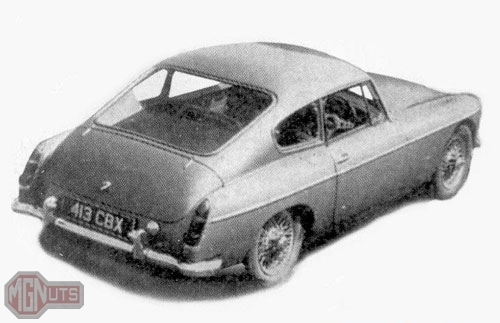 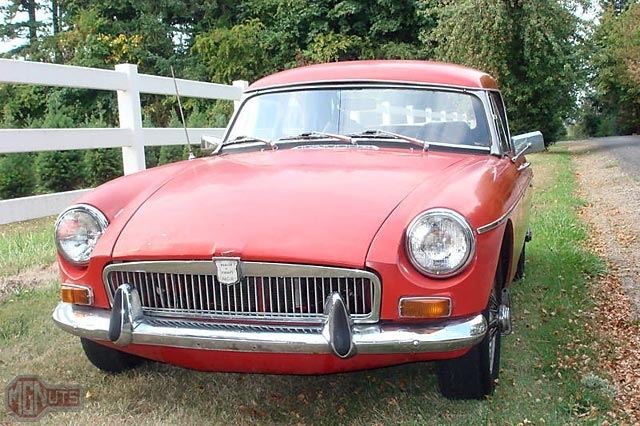 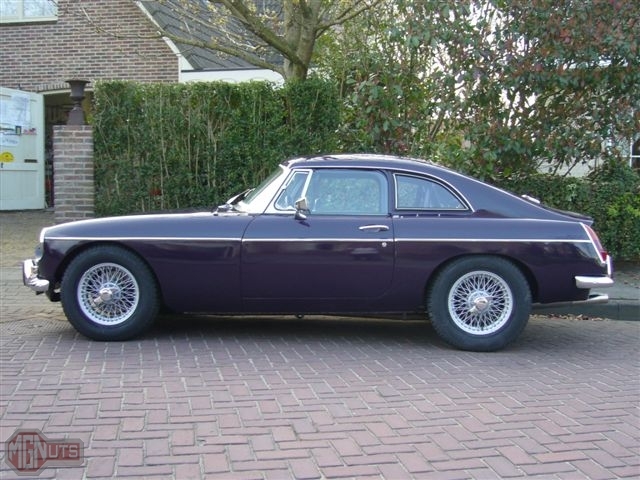 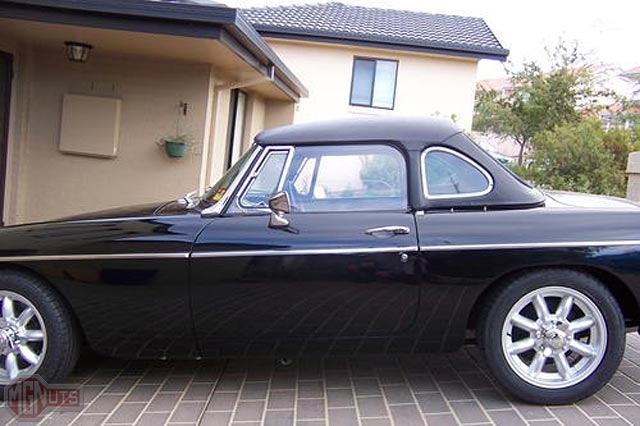 Factory tops for MGB were available in a single style in black or body color until December 1966. 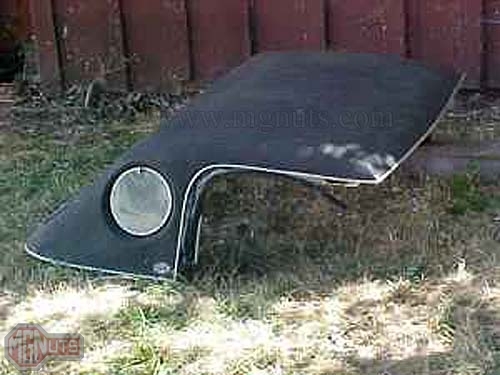 After that they came in only black. 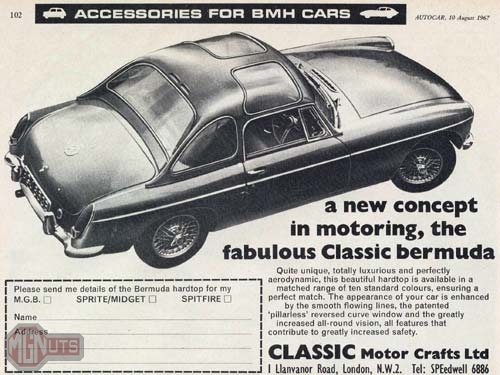 Bermuda tops were built and sold by Classic Motor Crafts of London, England in the 1960’s. 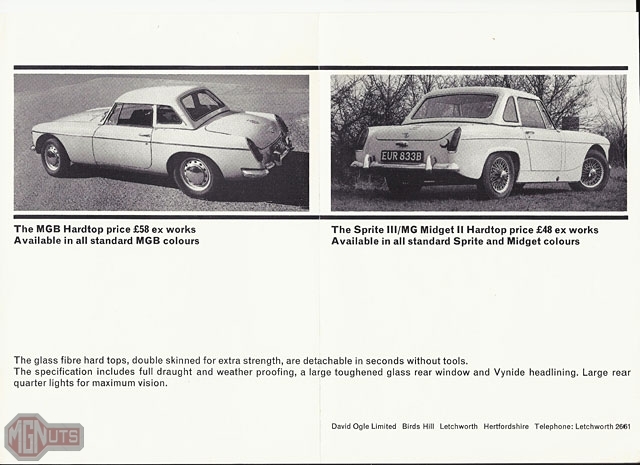 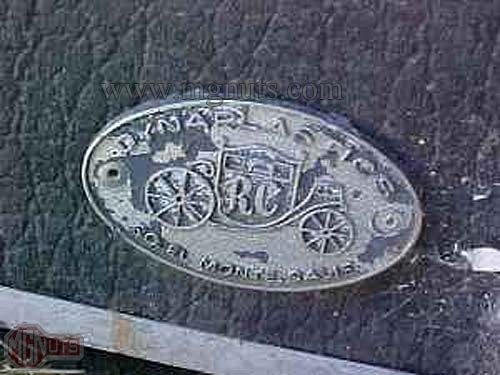 This company also produced Speedwell products for Spridgets and possibly others. 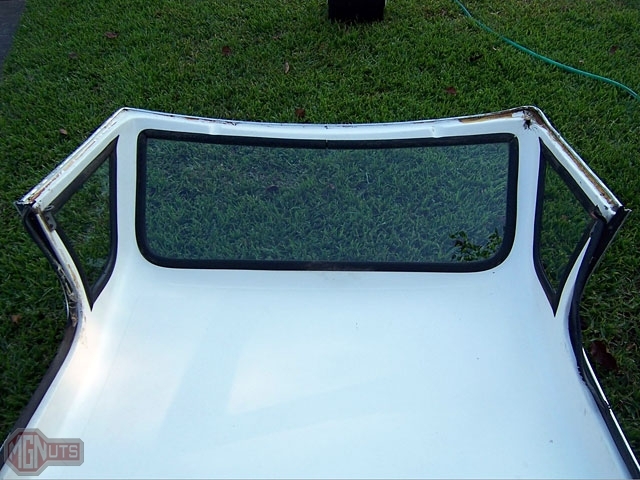 If you have additional history on Bermuda tops or their manufacturer, please email me! 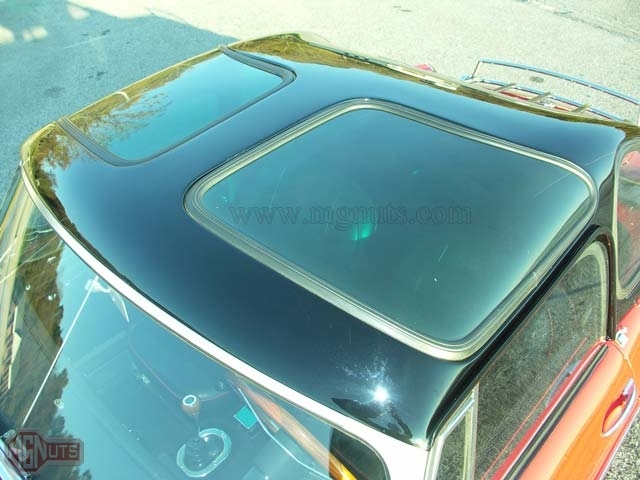 Snug Top were manufactured by Custom Hard Tops in Long Beach, California. 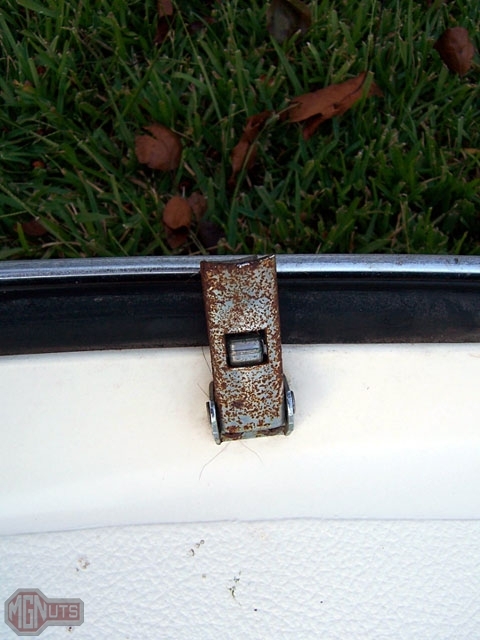 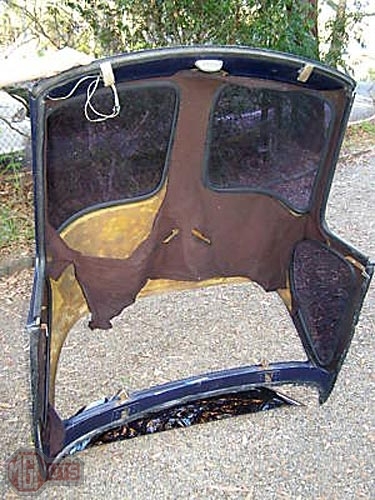 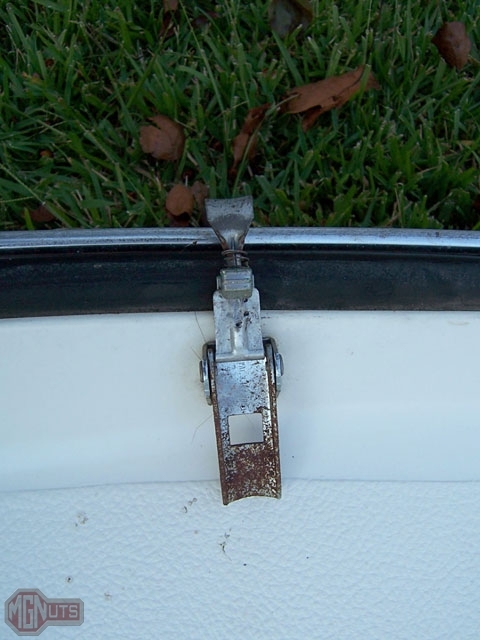 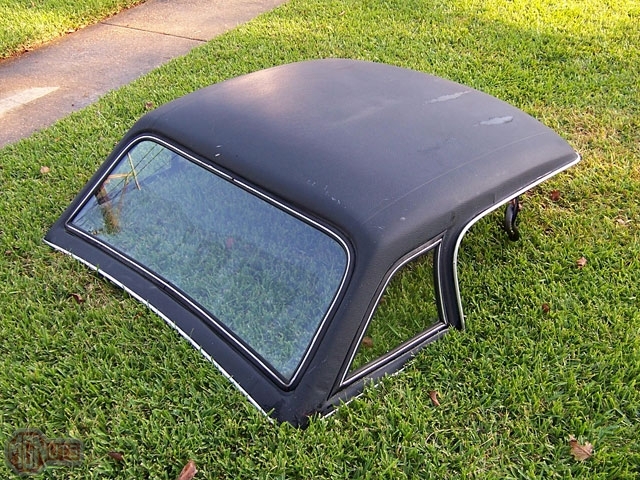 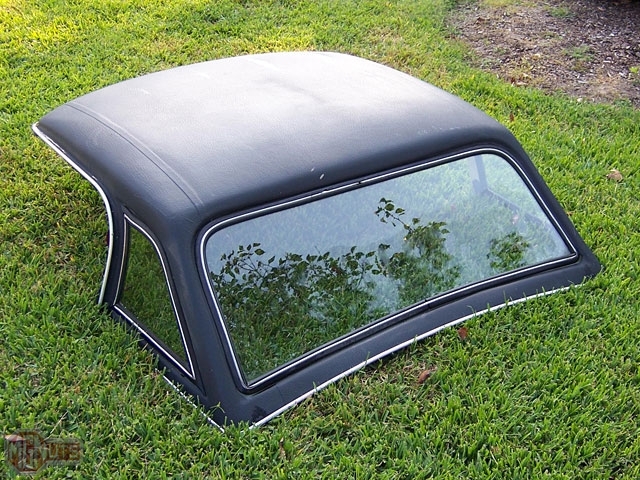 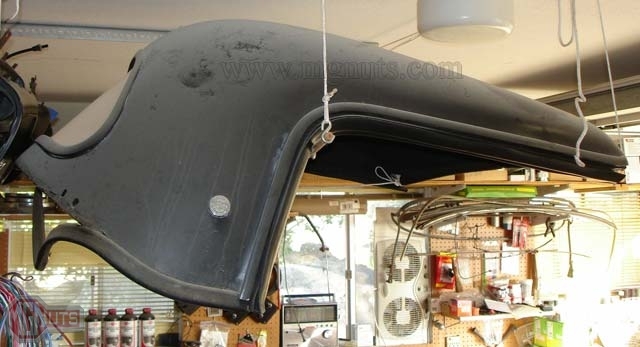 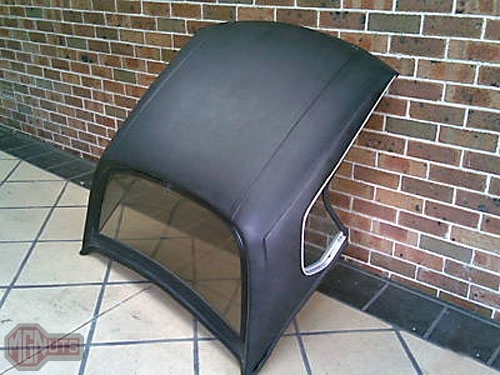 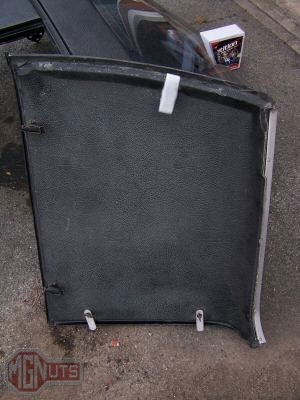 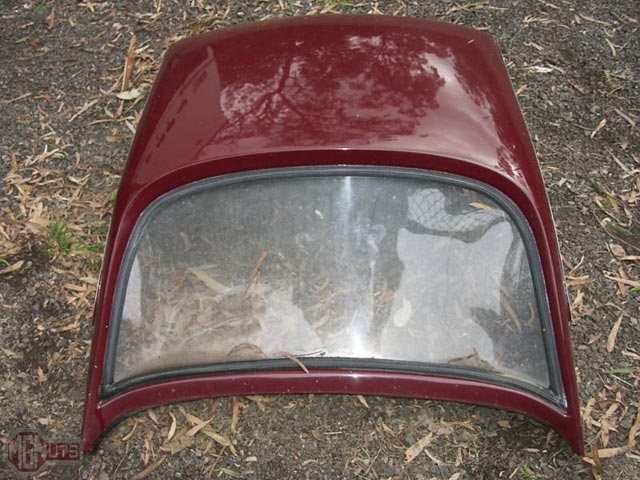 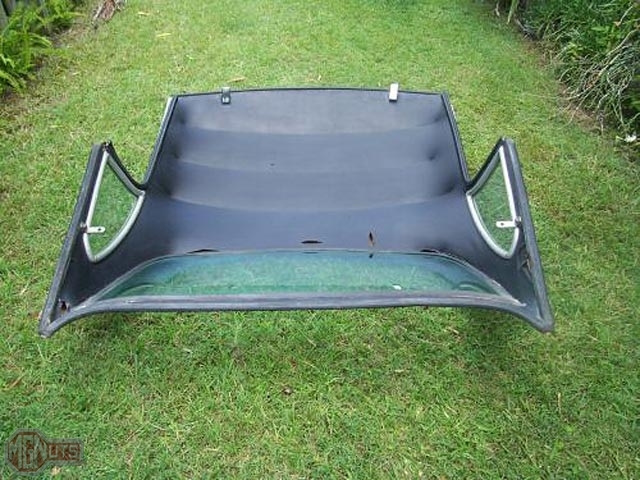 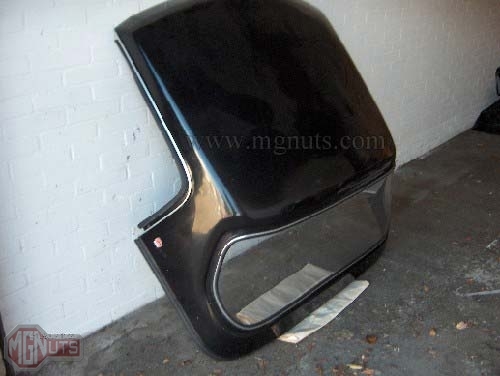 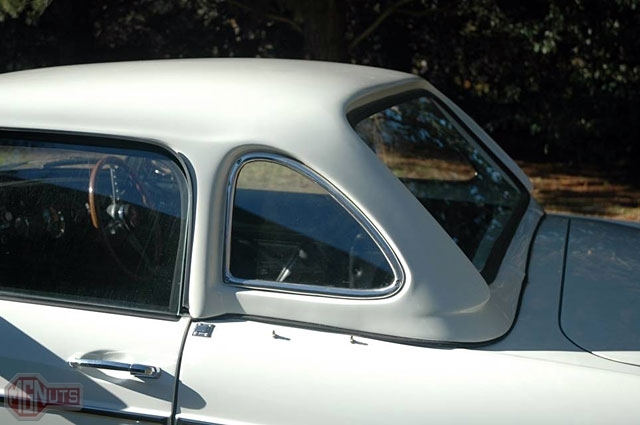 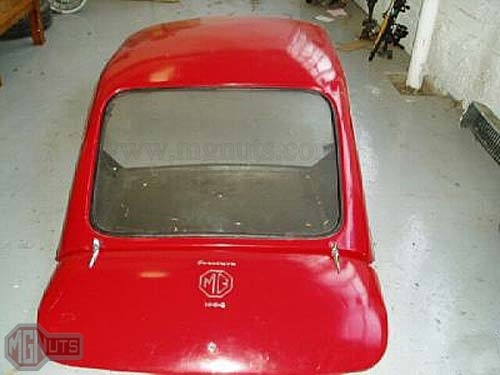 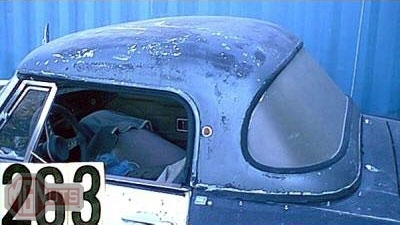 They were a popular brand of hard top and are still made today. 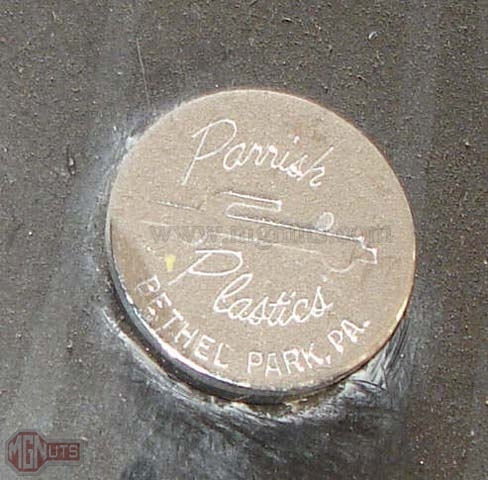 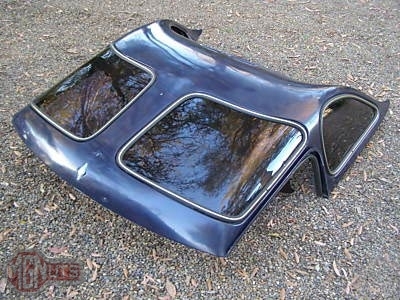 Parish produced hard tops for various cars until their molds were purchased by Smoothline, who continues to manufacture these tops today. 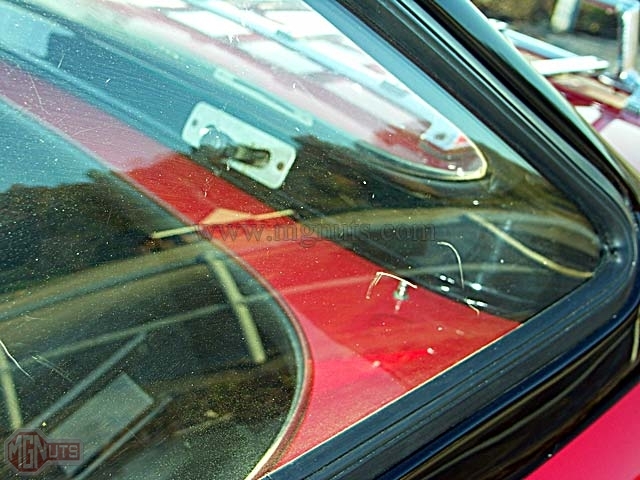 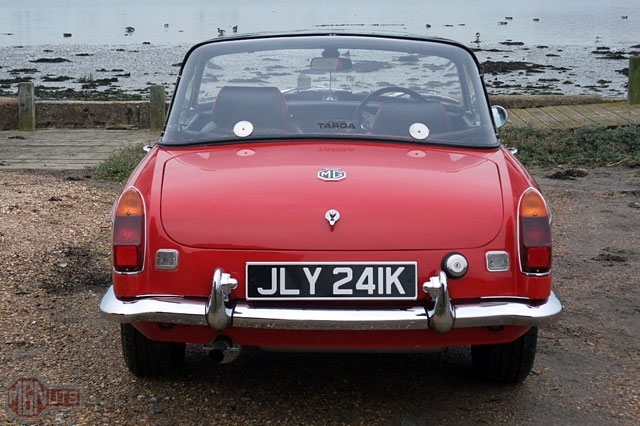 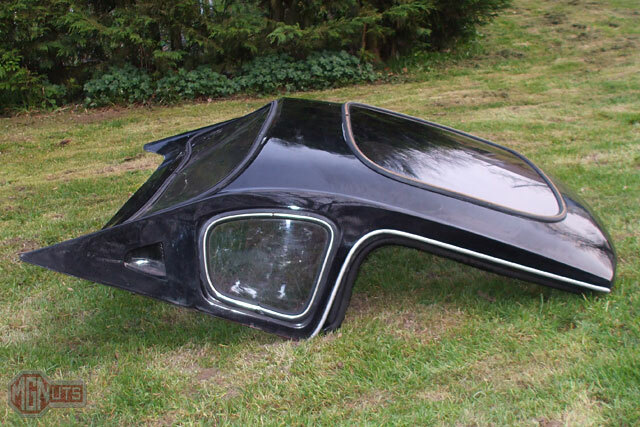 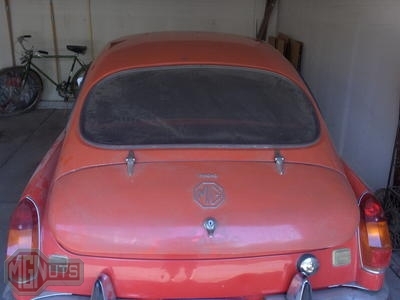 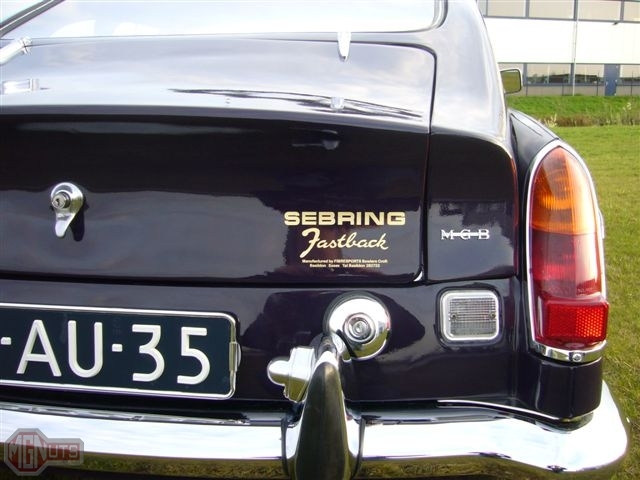 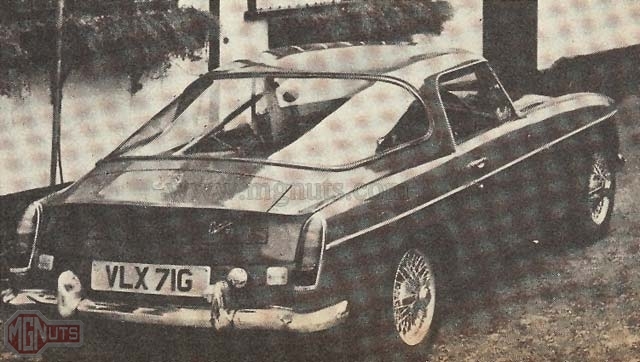 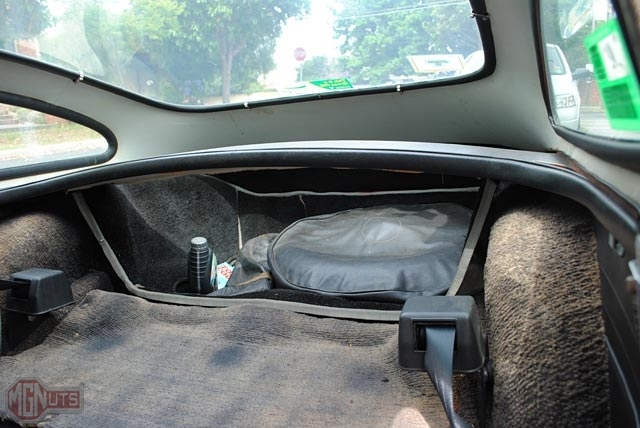 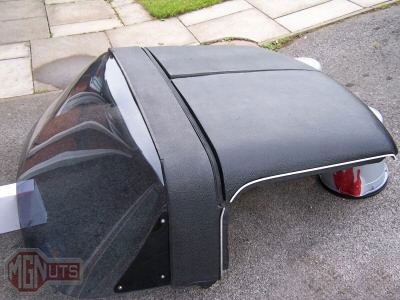 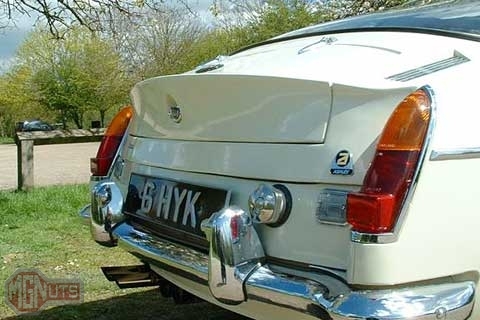 Sebring tops were designed by Williams and Pritchard in Edmonton, and manufactured by Fibresports in Bowler’s Croft, Basildon Essex, U.K., in the mid to late 1970’s. 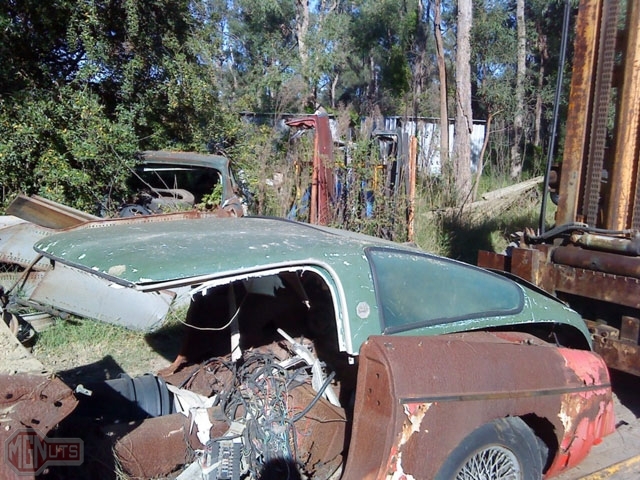 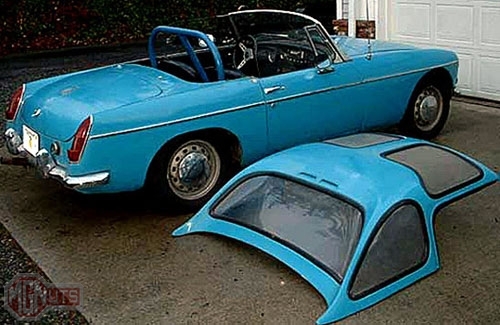 Here we see examples of two models, the Fastback and the Targa. 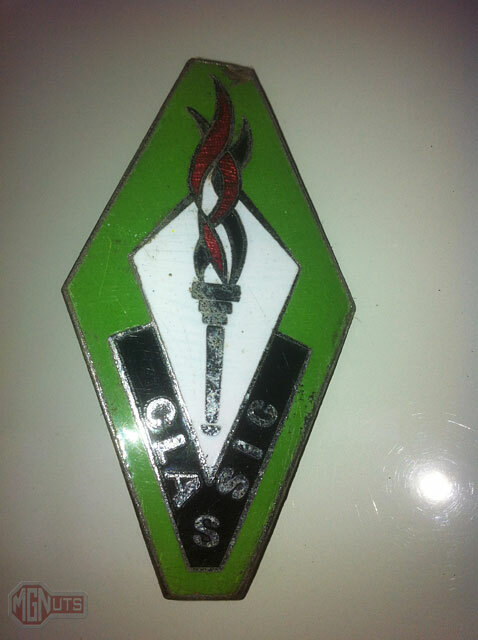 Thanks to Paul Miller for the history lesson and identification help. 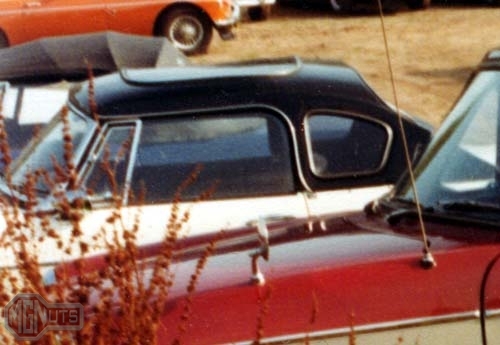 Special thanks to Tom Aczel for his exhaustive research in the history and identification of these tops. 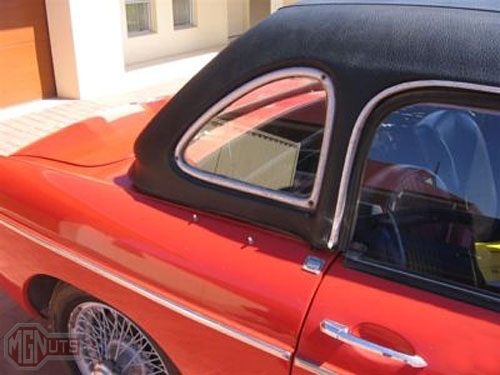 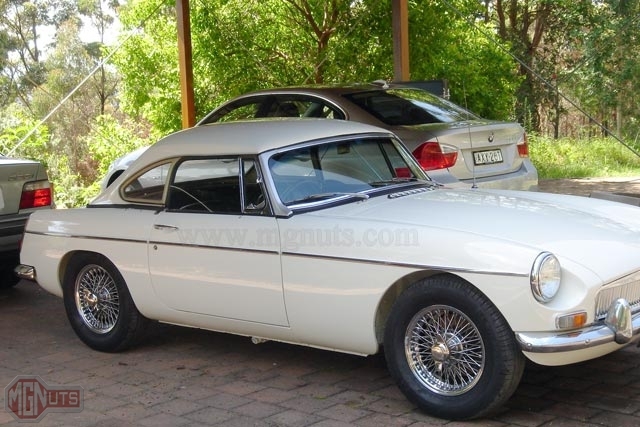 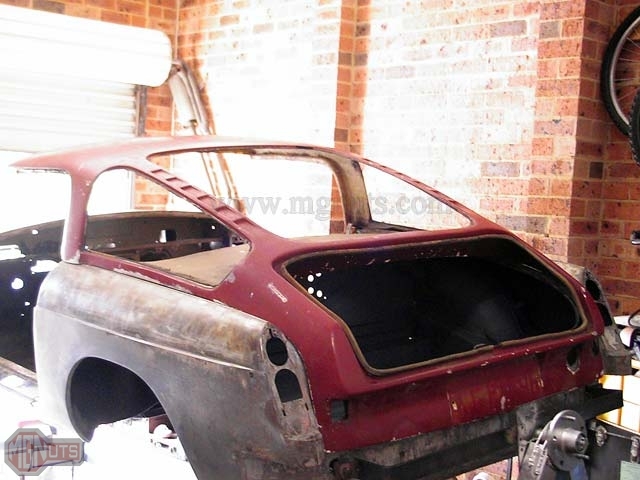 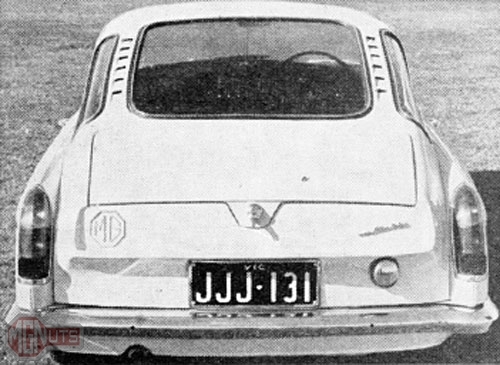 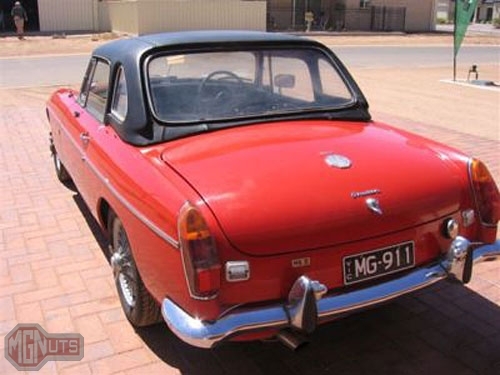 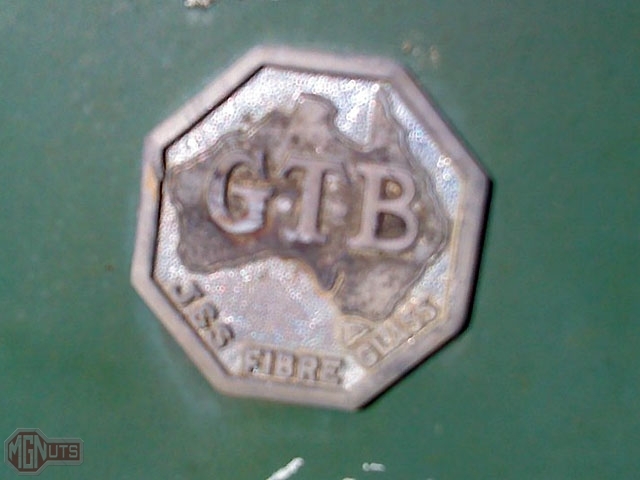 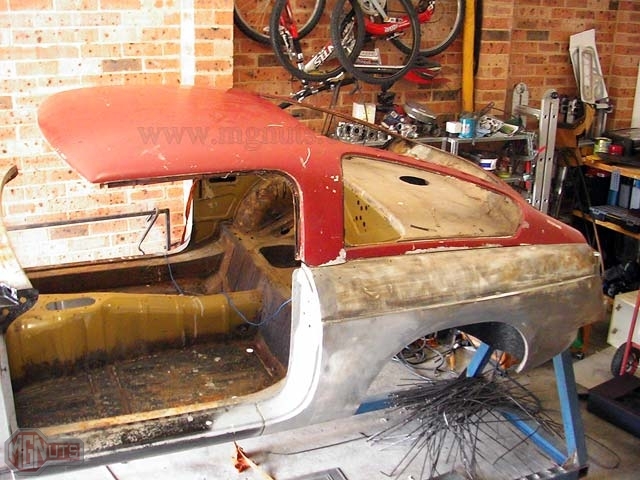 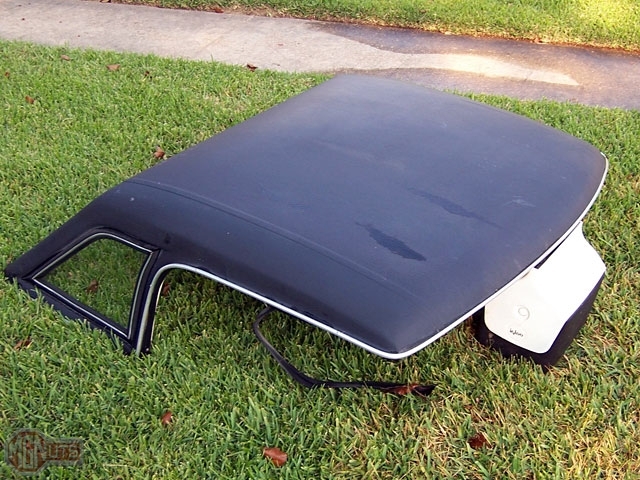 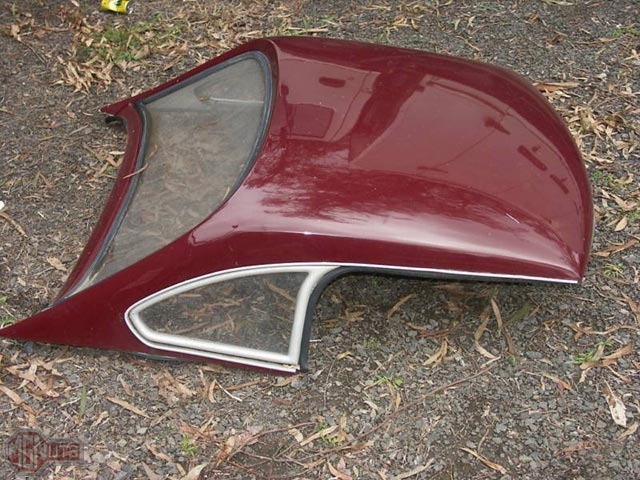 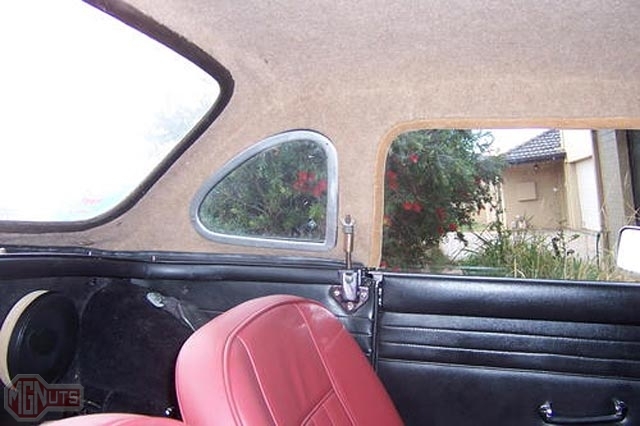 To read an article on the history of Australian hard tops written by Tom, click here. 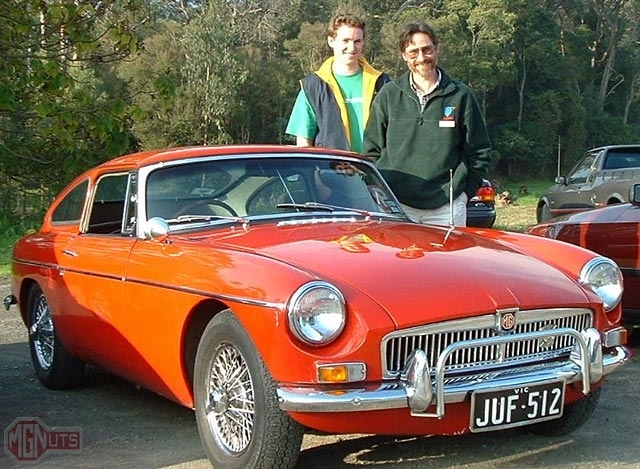 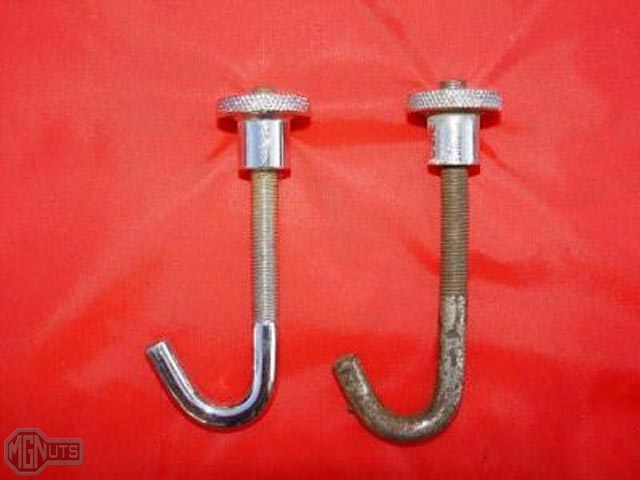 J and S was established in 1956 by John Jennens and Jeff Simmonds. 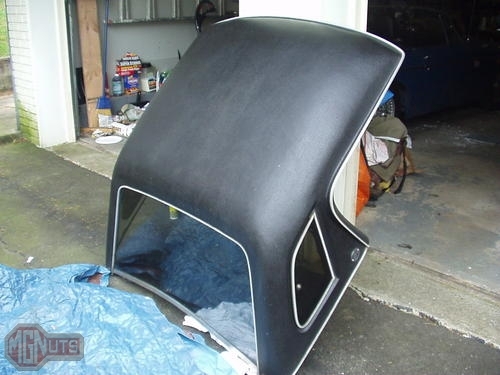 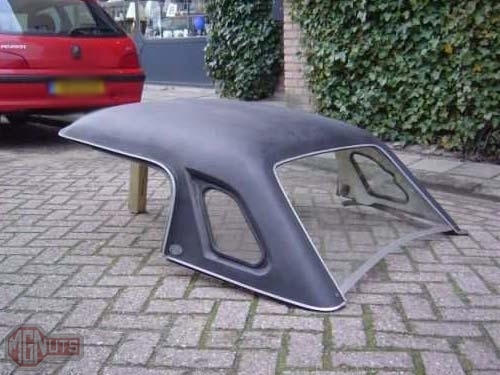 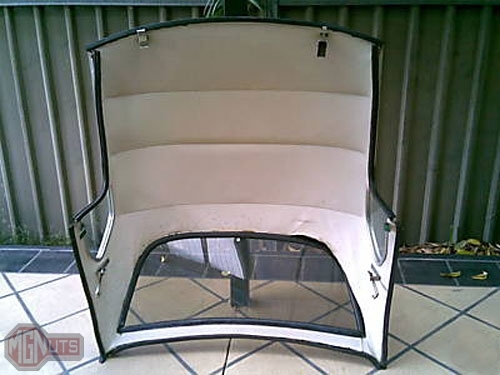 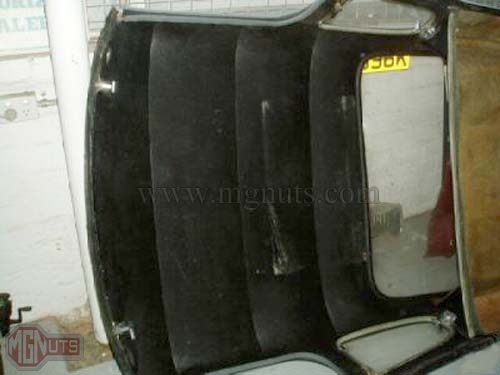 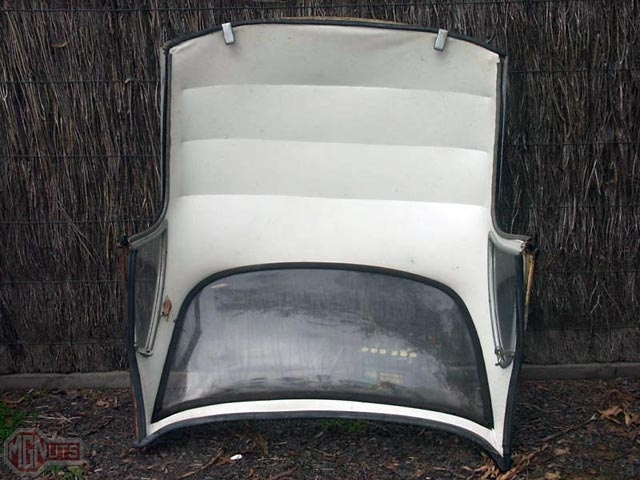 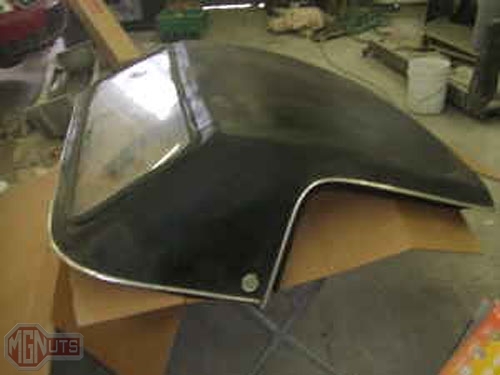 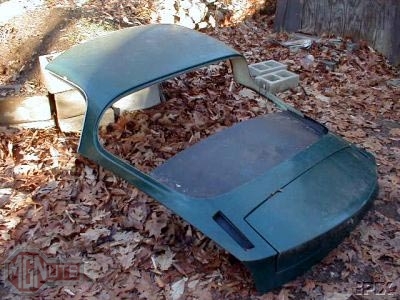 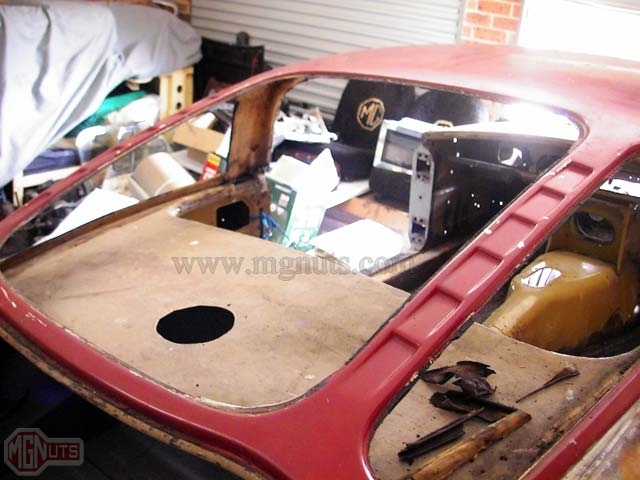 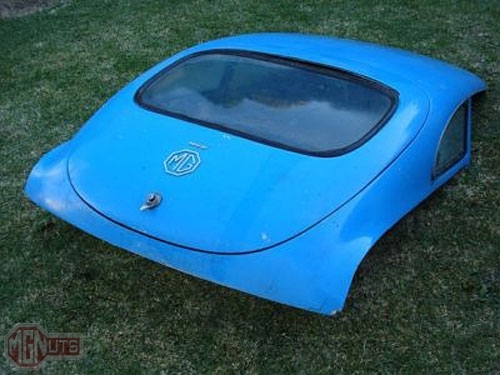 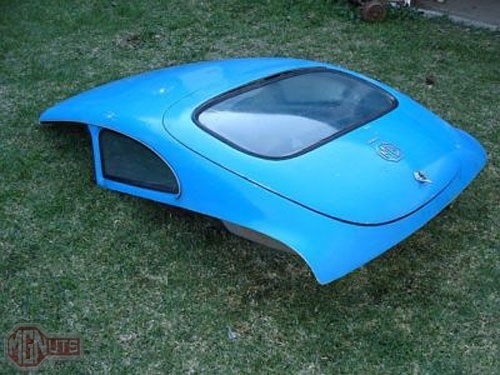 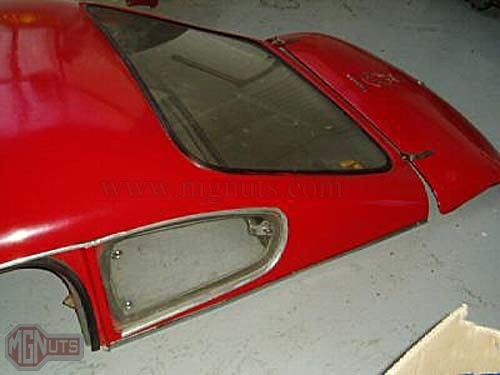 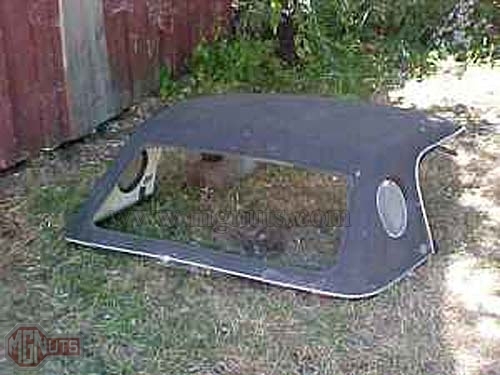 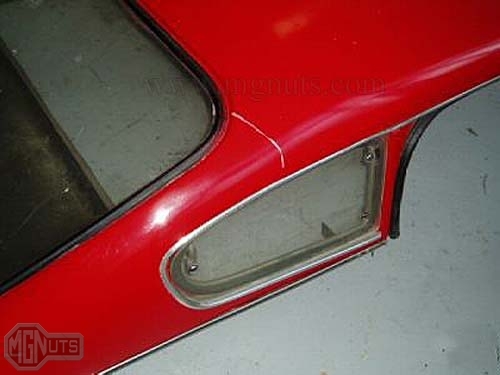 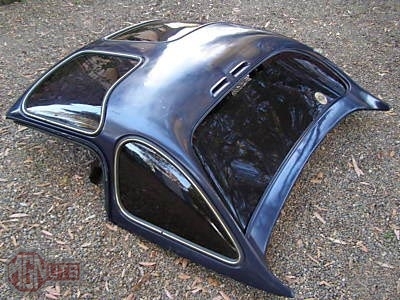 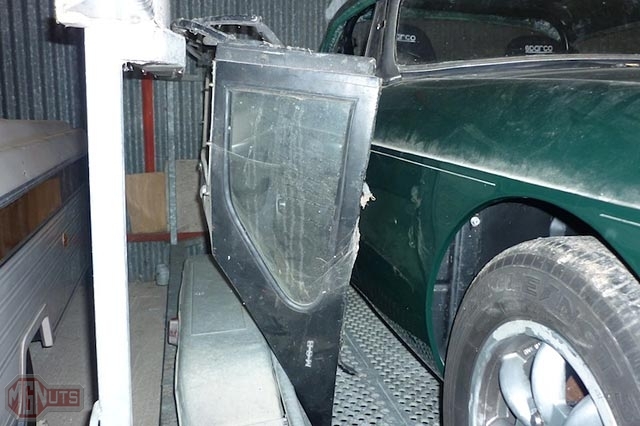 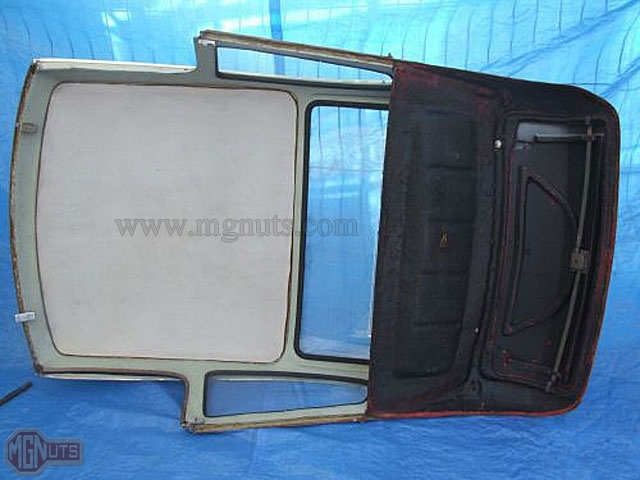 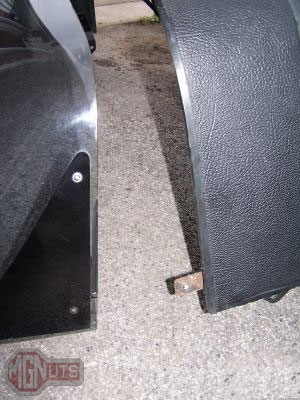 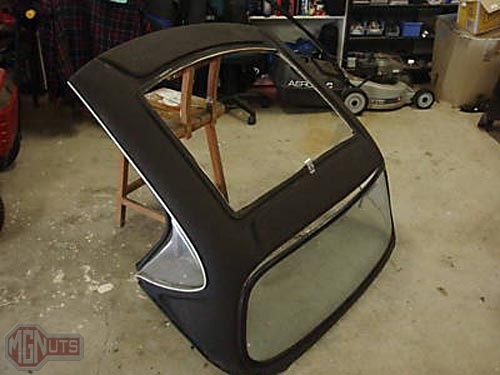 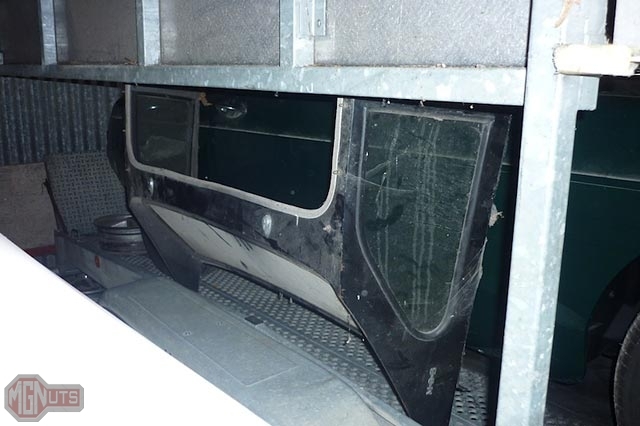 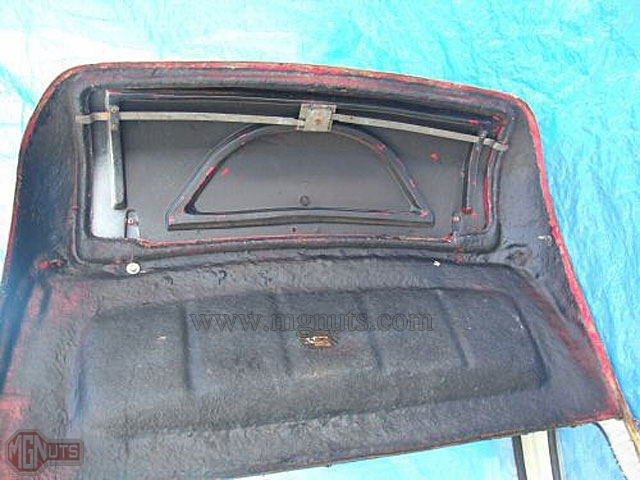 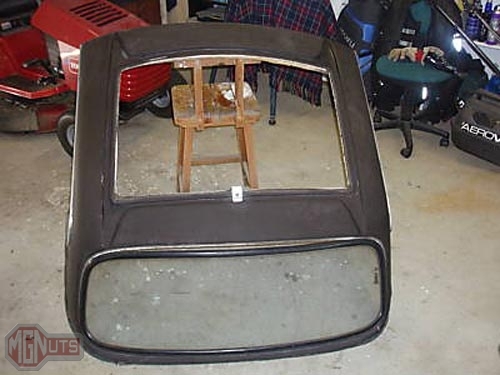 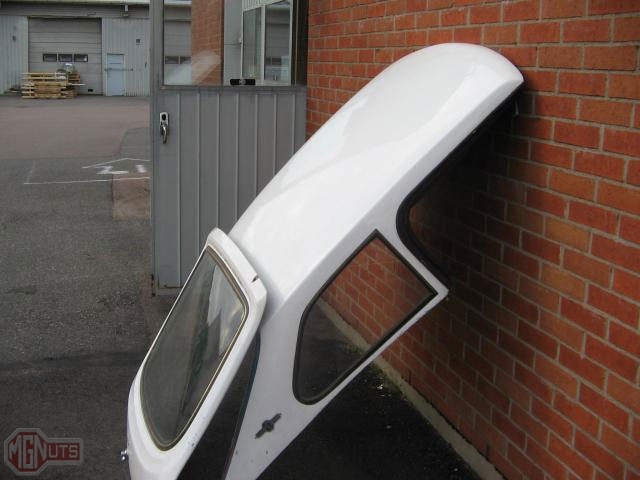 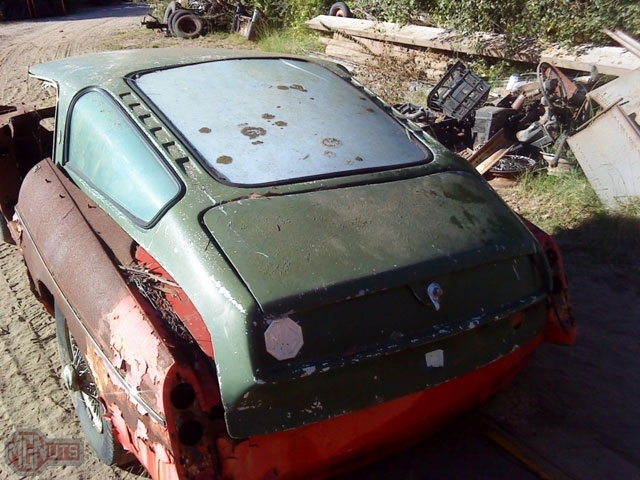 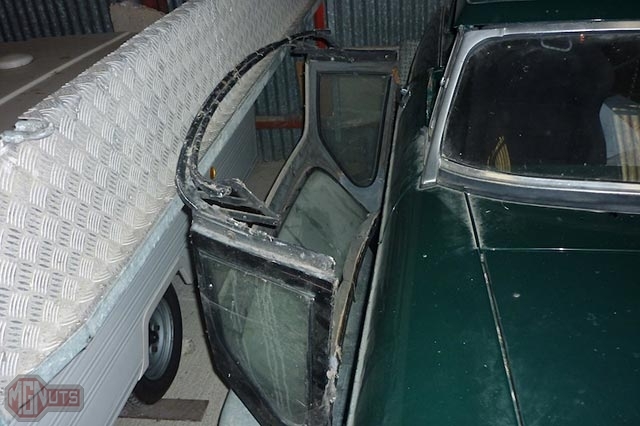 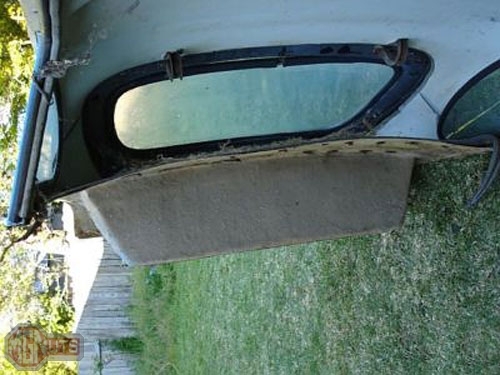 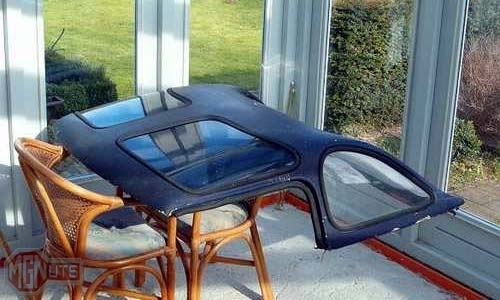 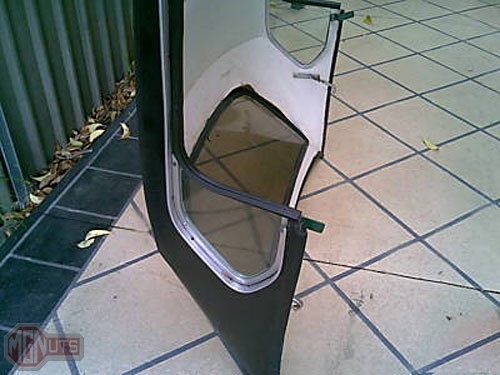 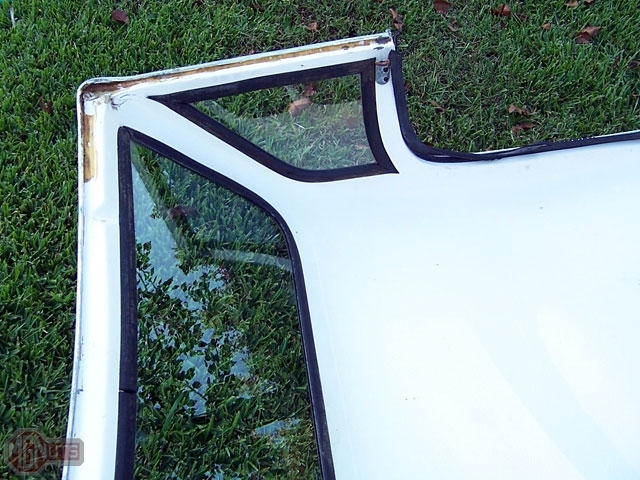 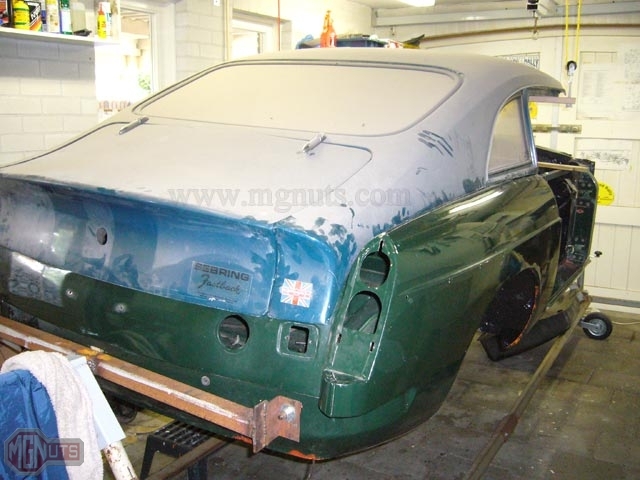 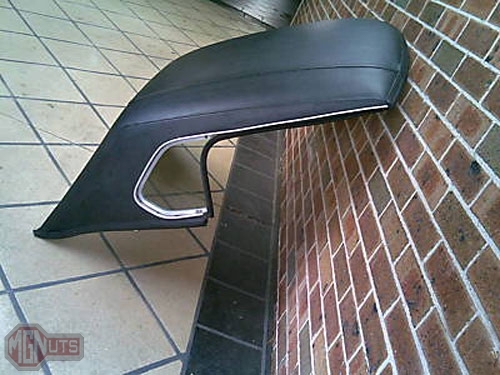 They offered not only hard tops for various sports cars but also complete fiberglass car bodies and industrial products. 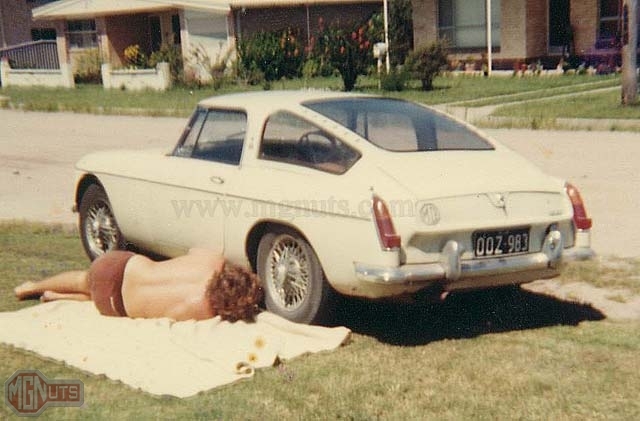 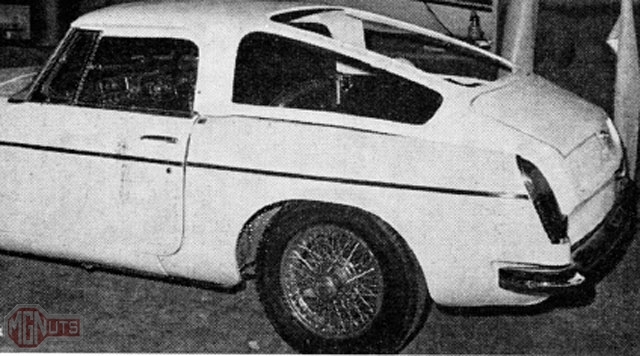 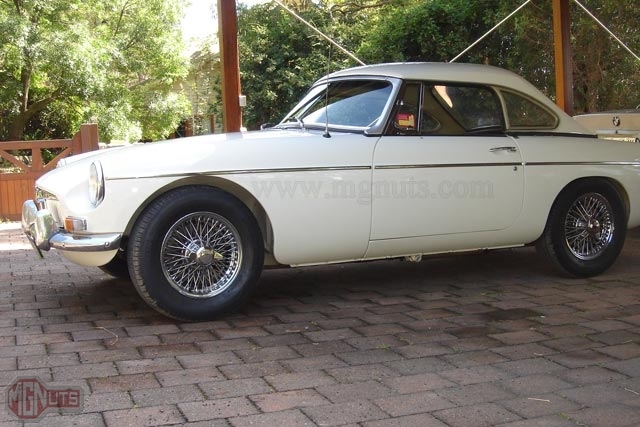 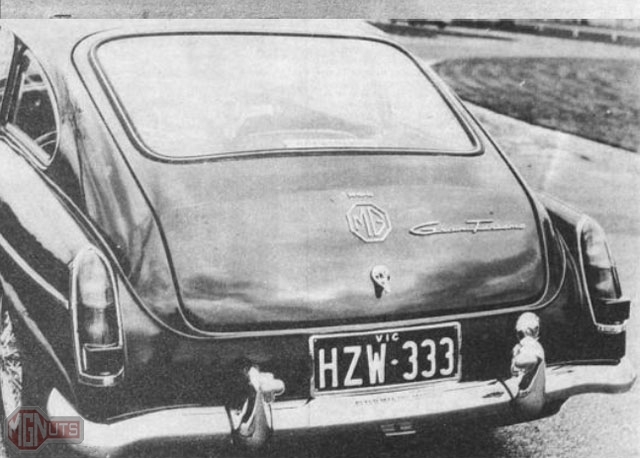 Peter Manton was a British Leyland car dealer in Melbourne, Australia who raced actively in the 60’s and 70’s. 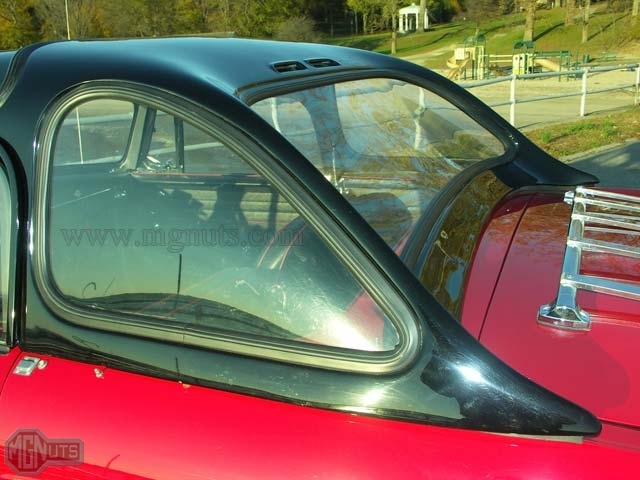 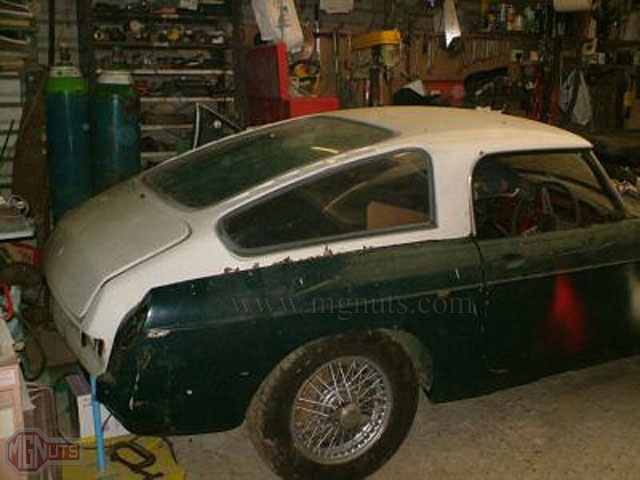 Like J&S, he offered both standard and “GT” style hard tops. 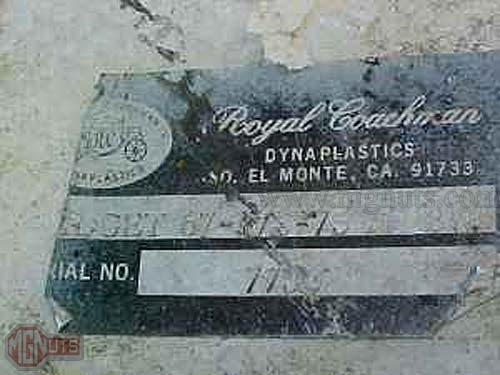 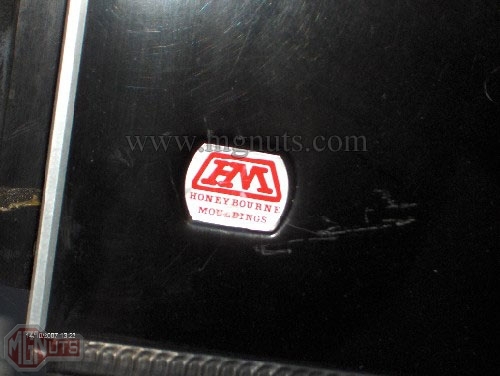 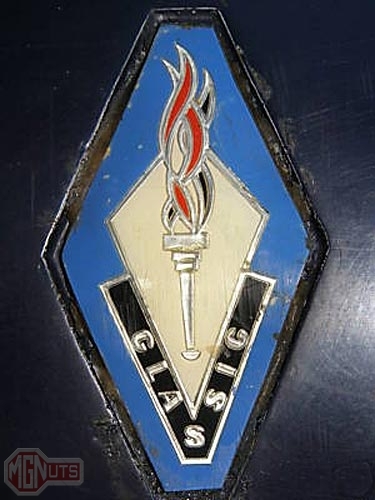 International Body Styling began as a styling firm who sold designs to other companies. 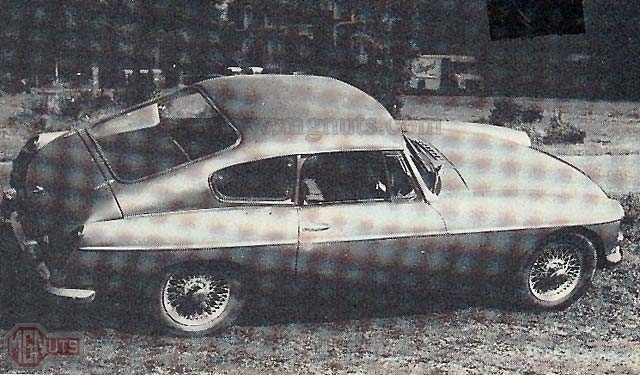 Eventually they began marketing their own hard tops.